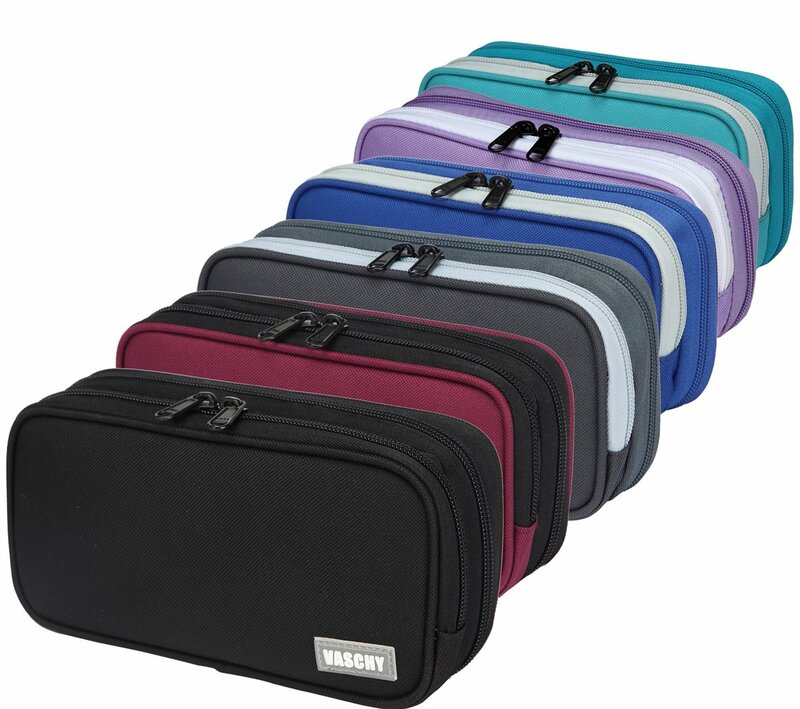 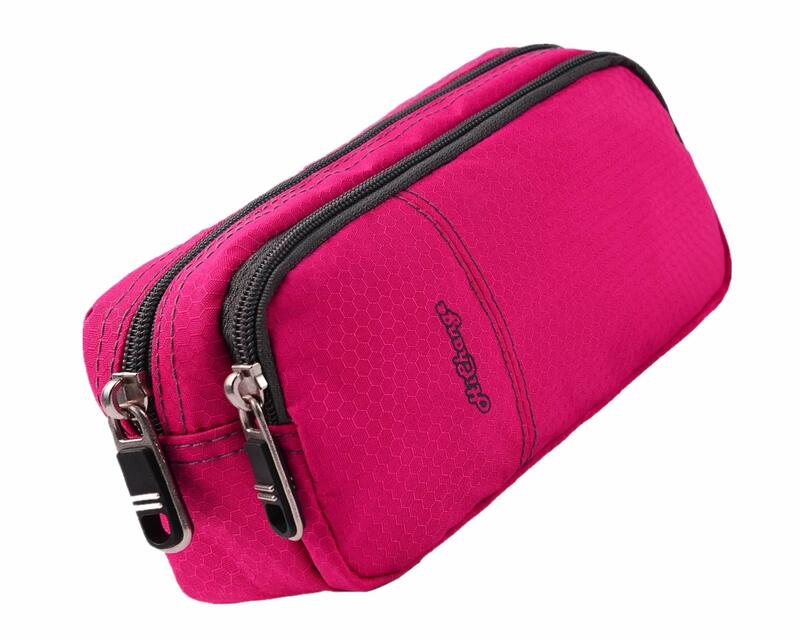 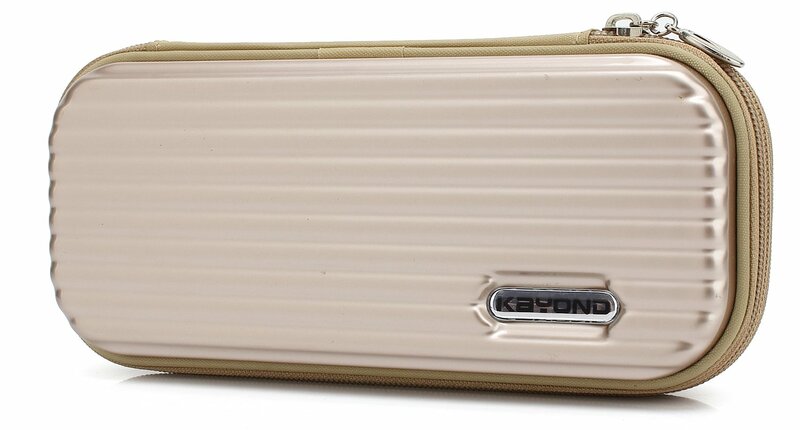 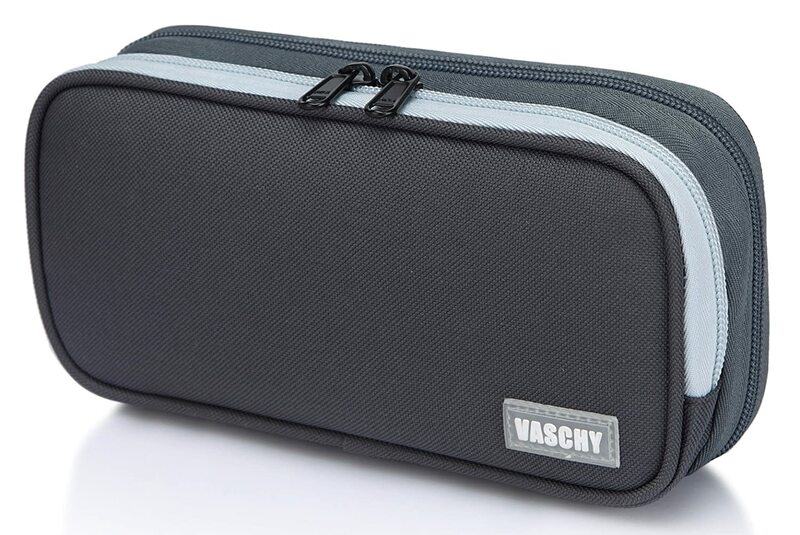 ✎DURABLE:The Vaschy large pencil case is made of polyester which is sturdy and durable, and it is especial large capacity which holds at least 72 pieces pencils. 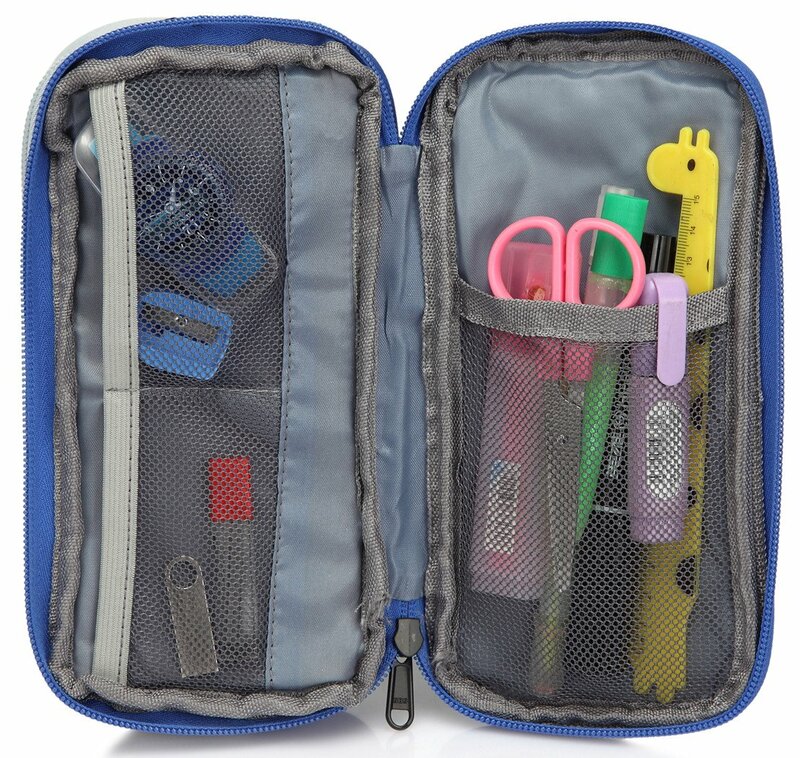 This pencil holder is built to be lasting and highly tear-resistant, a good stationary holder for office, school, daily use. 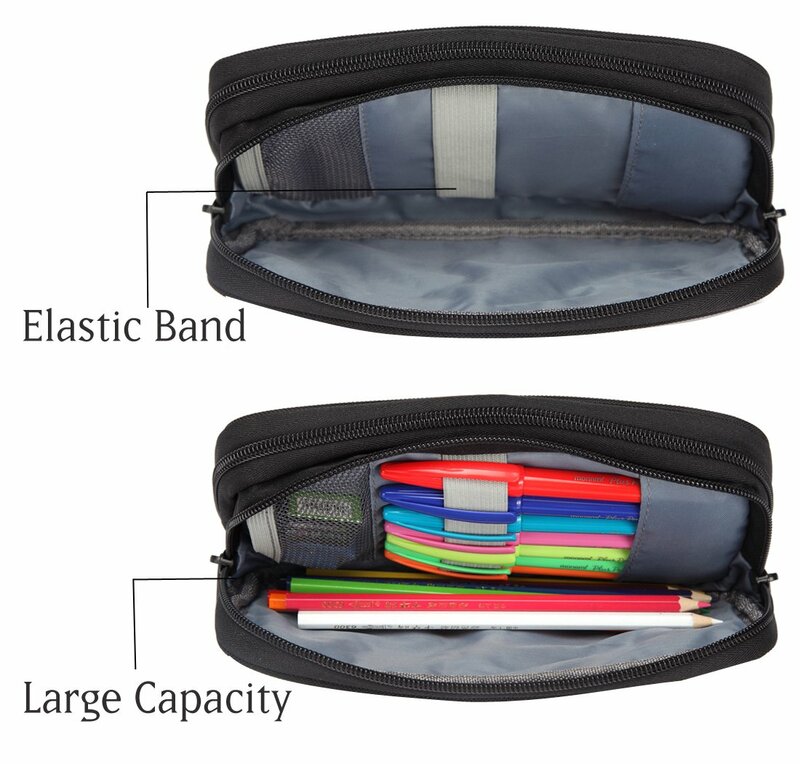 ✎EASY ORGANIZATION:This pencil case is constructed with better functional sections. 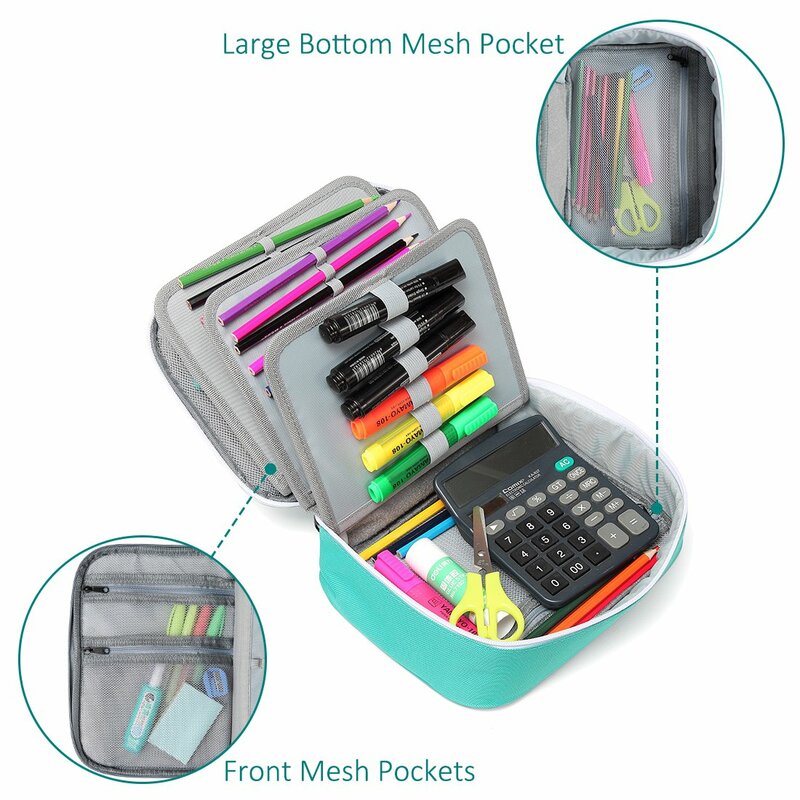 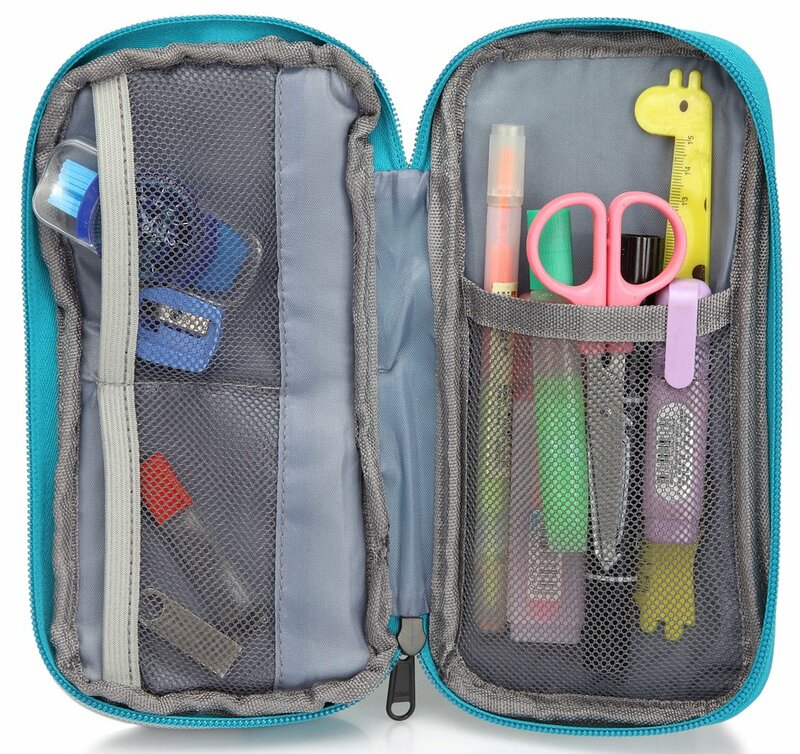 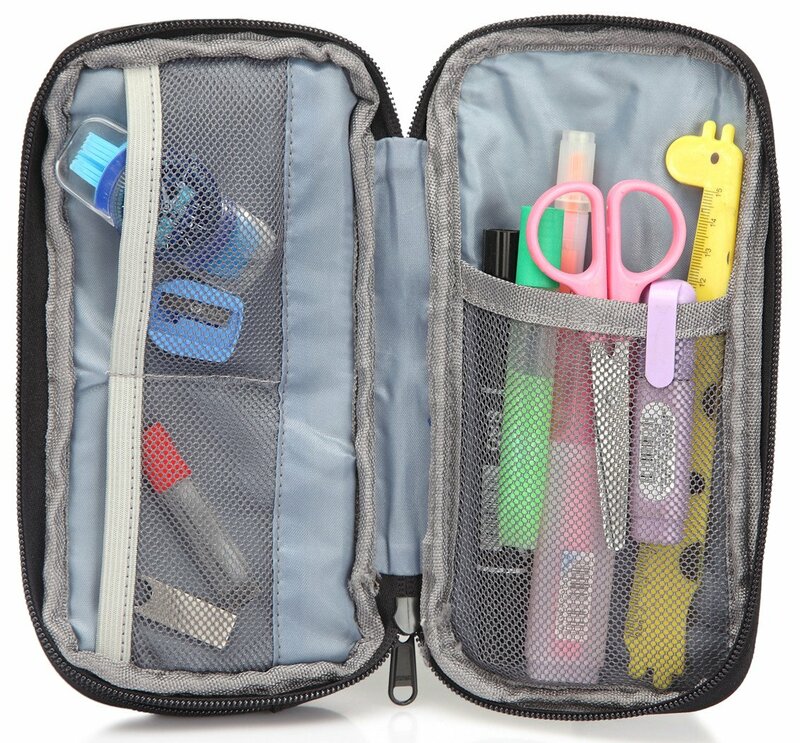 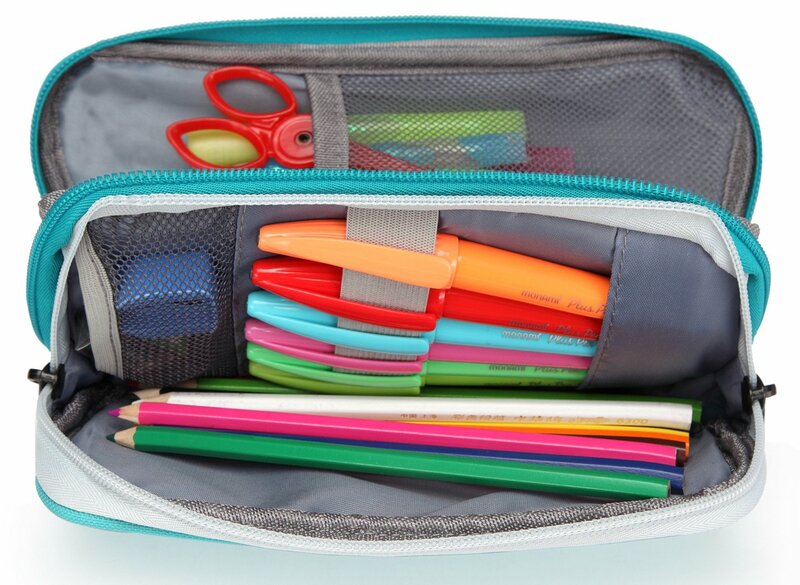 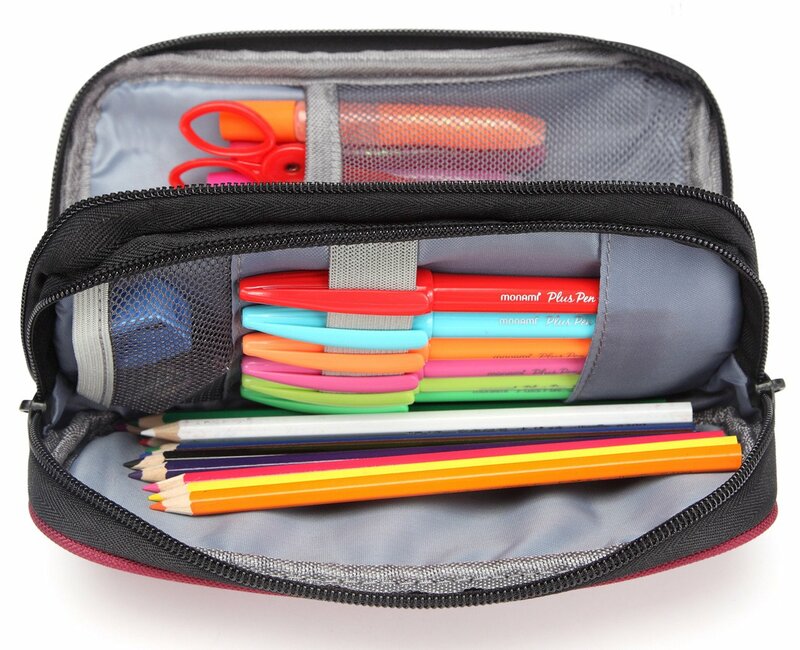 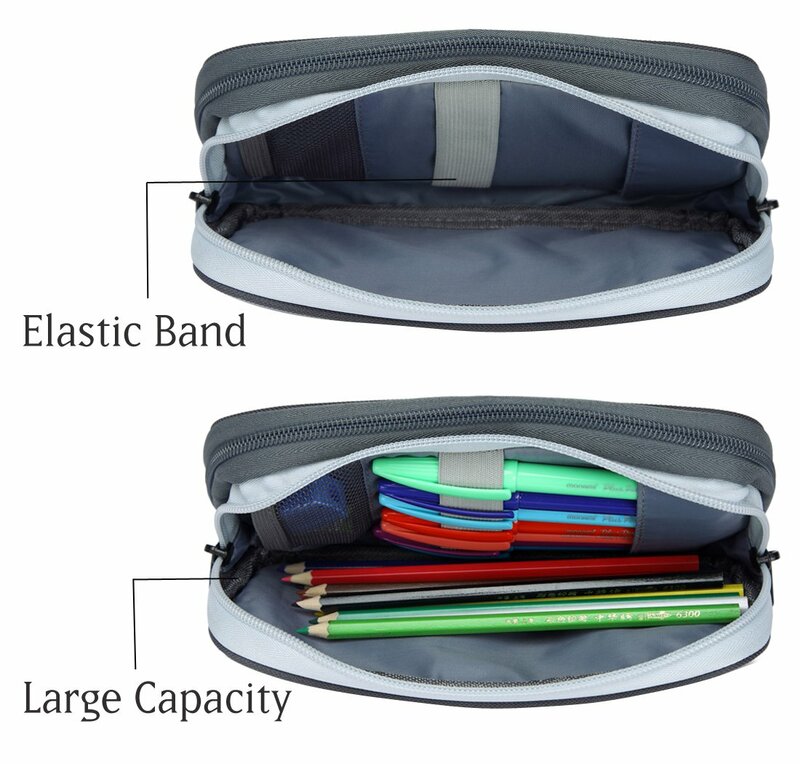 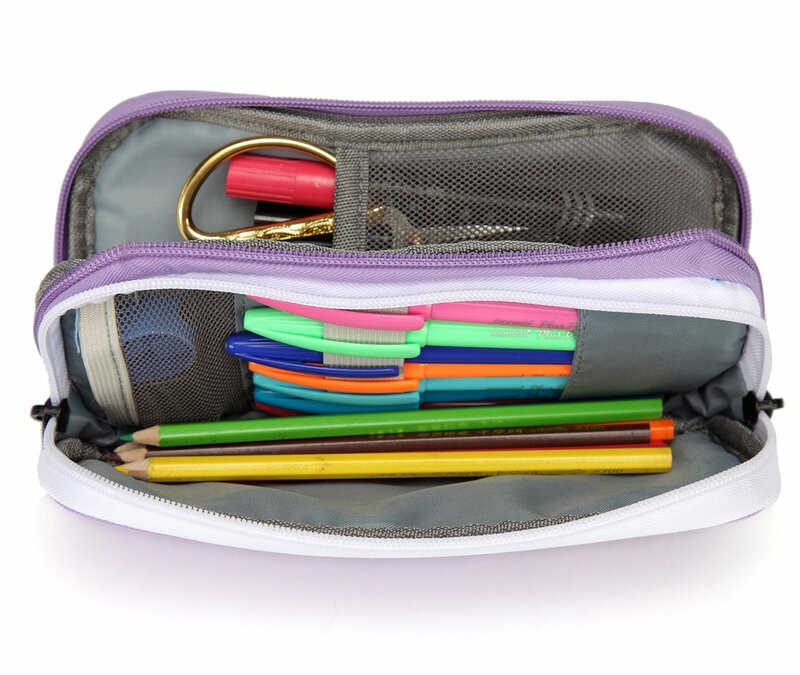 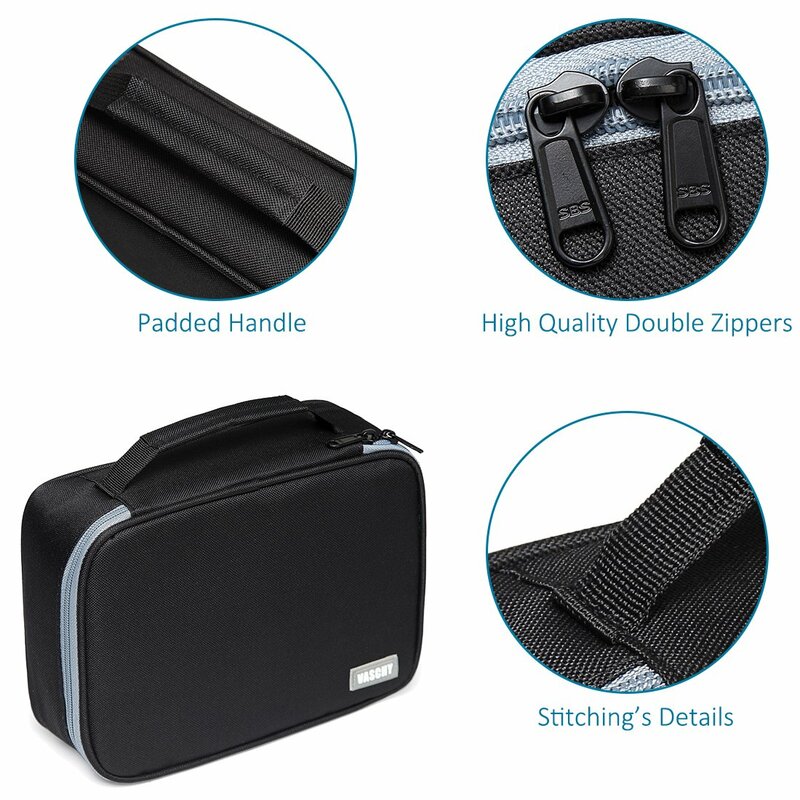 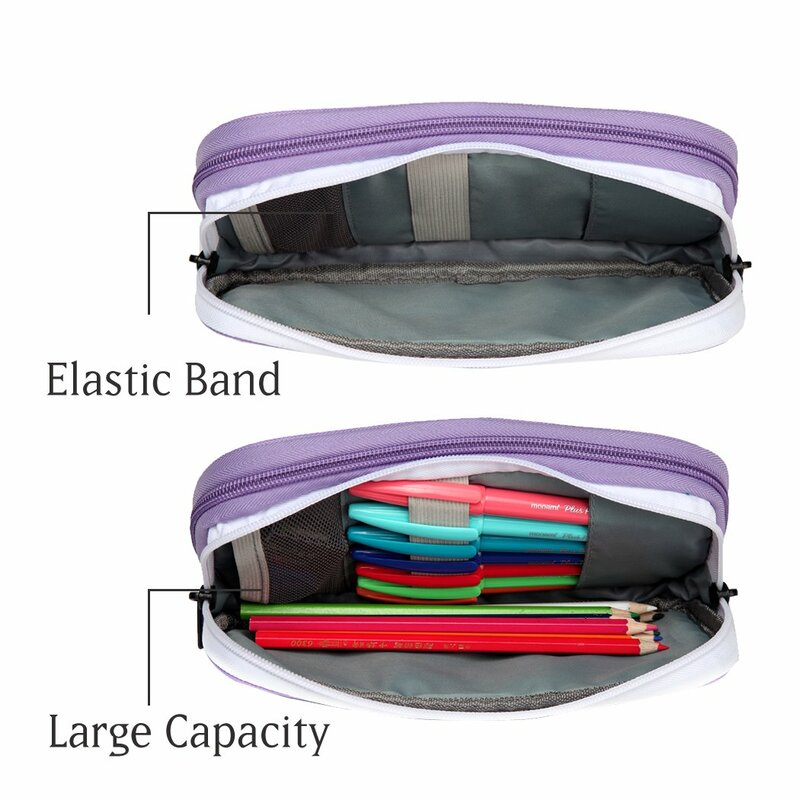 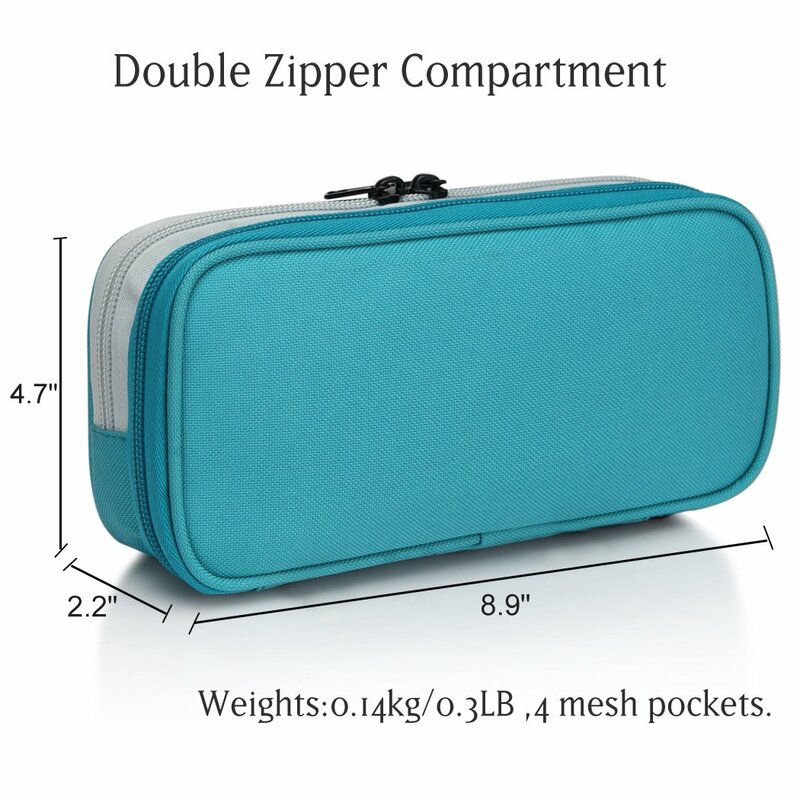 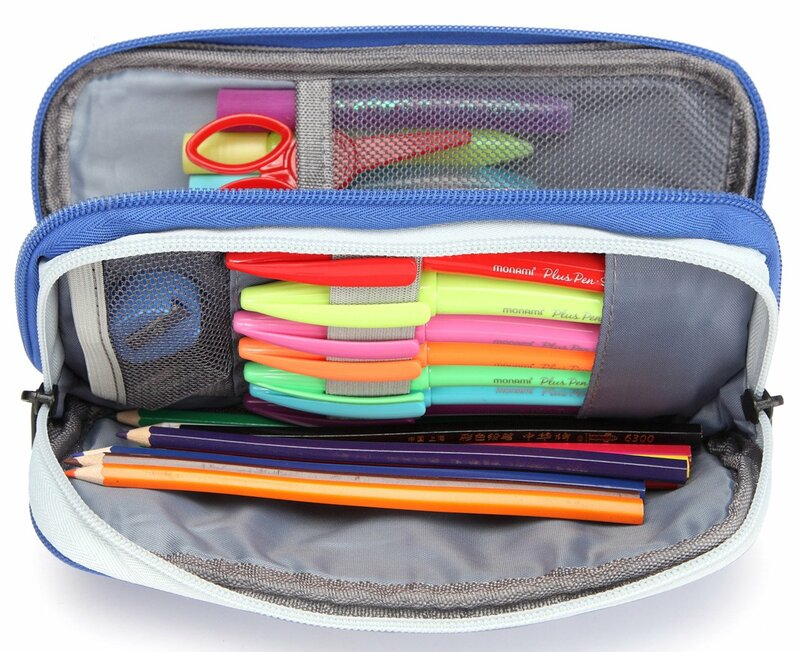 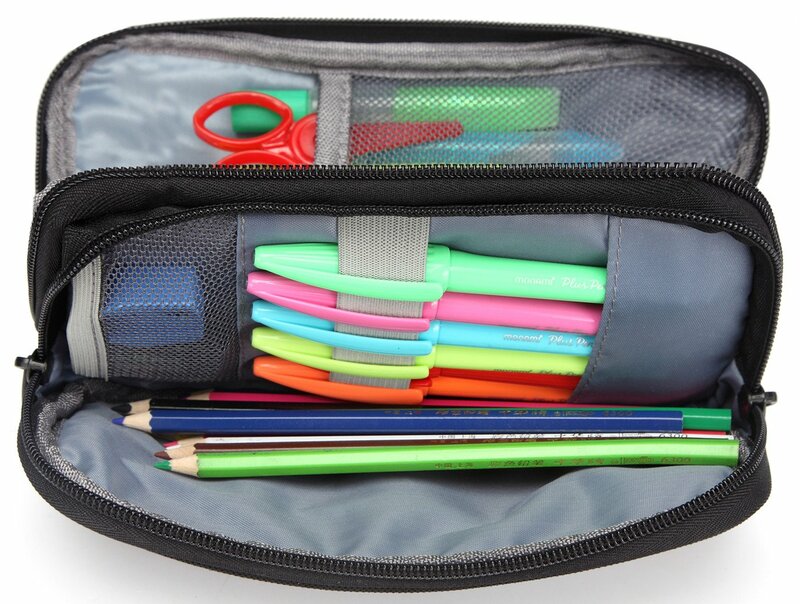 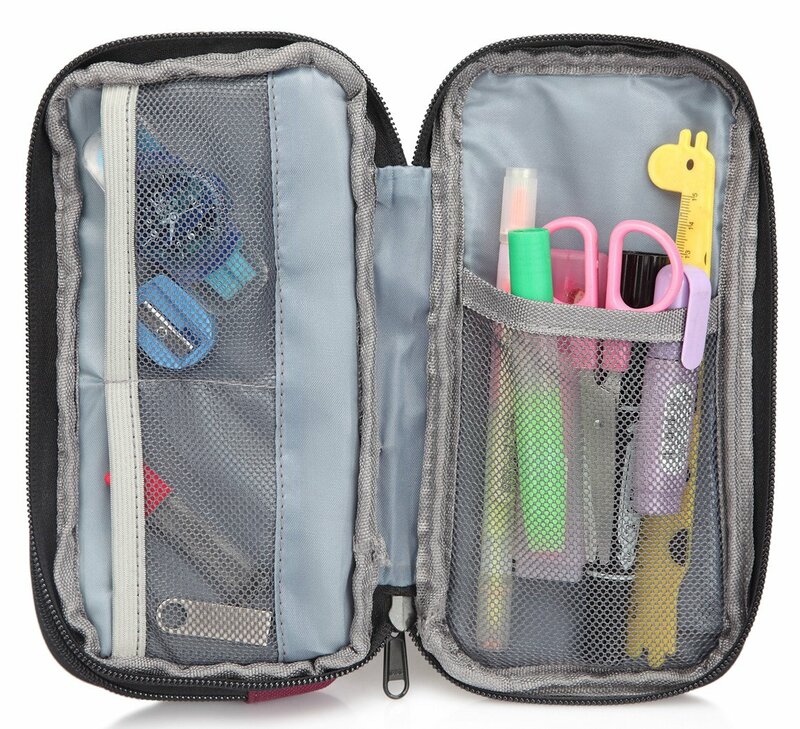 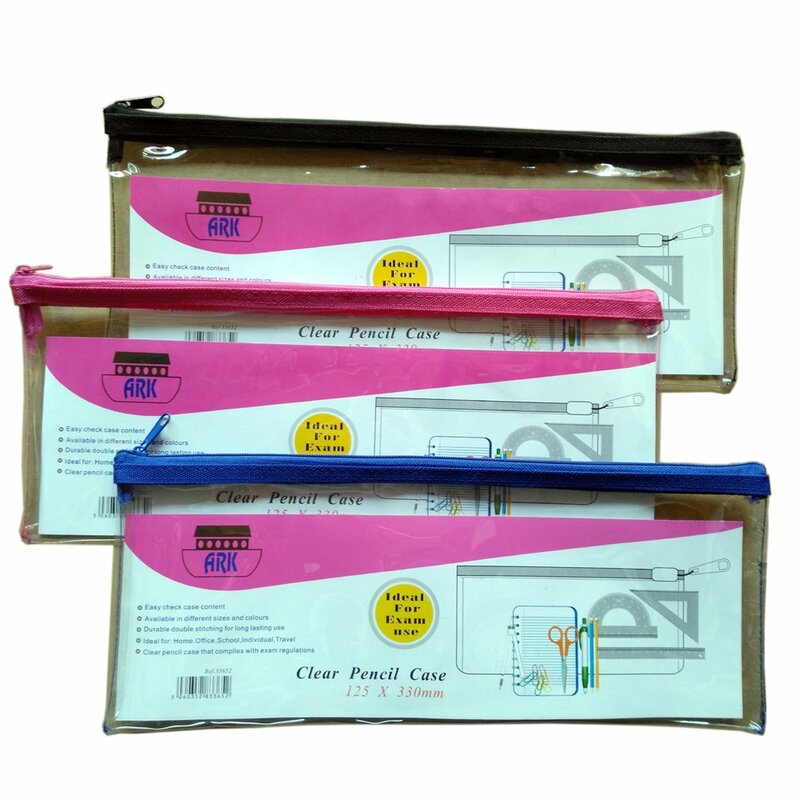 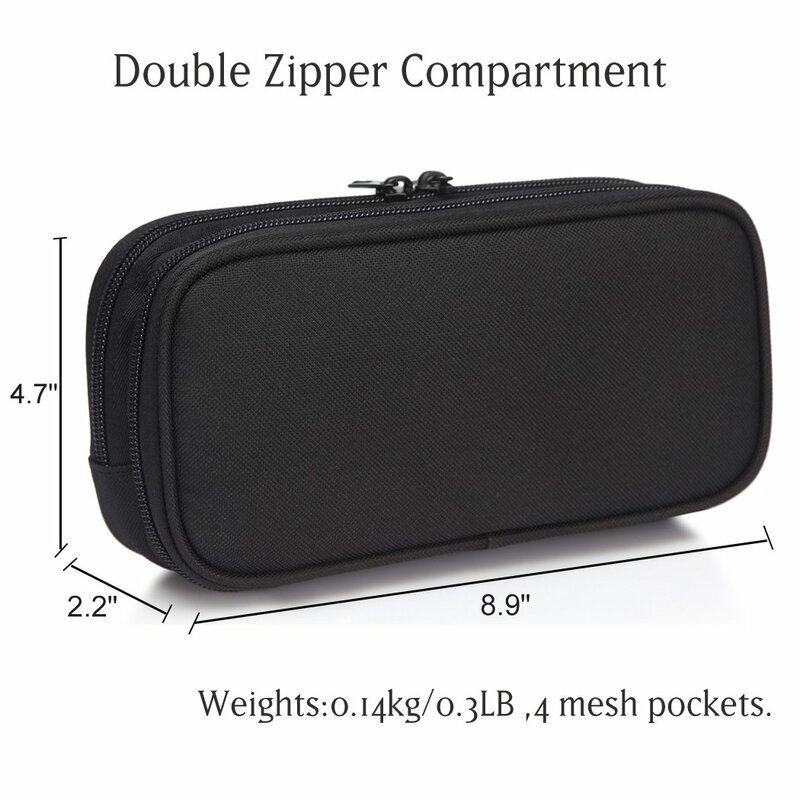 Three layers with elasticated slots are designed for coloring pencils, highlighter, markers or regular pens, making your pencils and pens well organized.Three mesh pockets collect not only small accessories such as ruler, eraser, glue stick and cards, but also larger item-calculator. 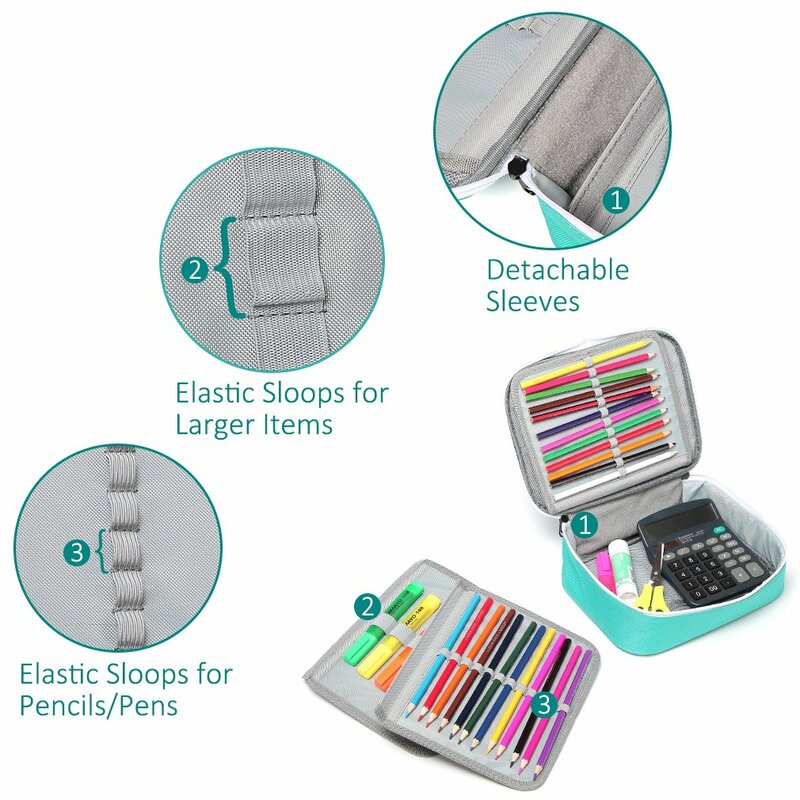 ✎CONSIDERATE DESIGNS:Thicken top handle gives you a better way to carry this pencil holder comfortably with a lots of pens and items inside. 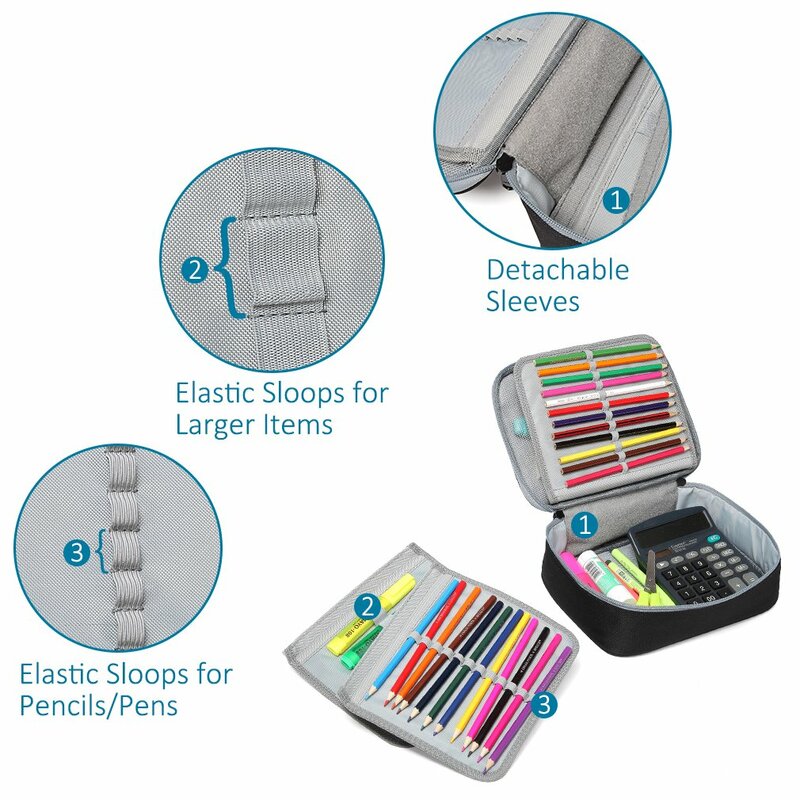 Detachable sleeves can be removed easily to adjust the sleeves' space or expand space when you want to put a large stationery or instrument. 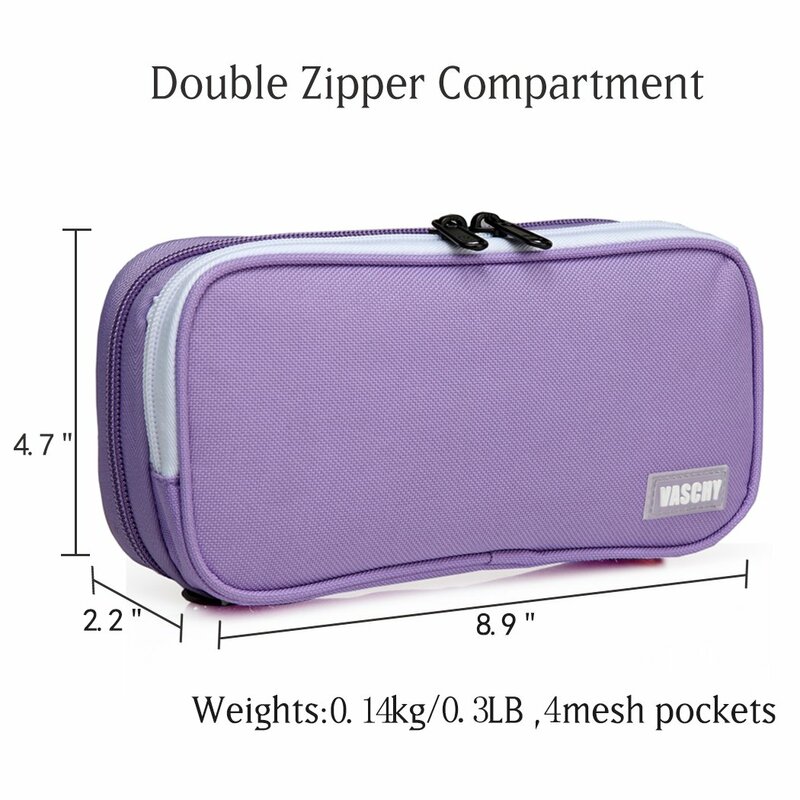 Zipper mesh pockets are visible for finding and getting things more easily. 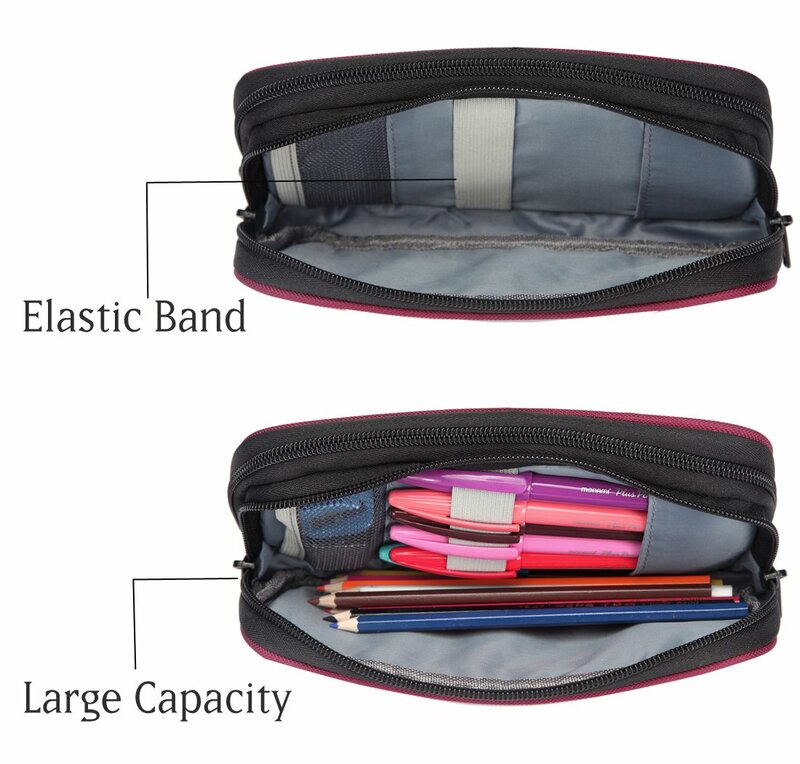 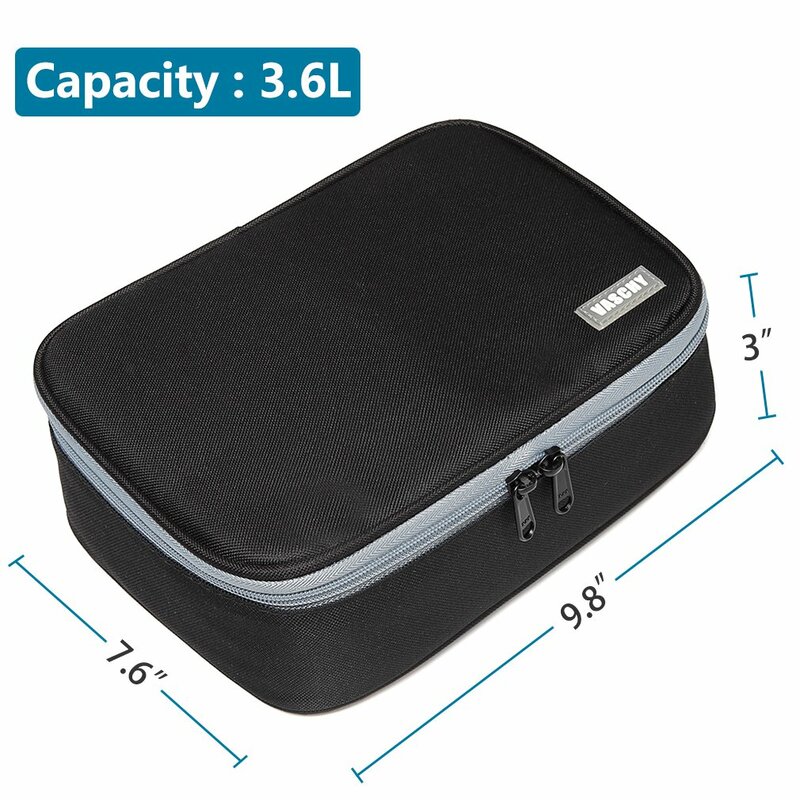 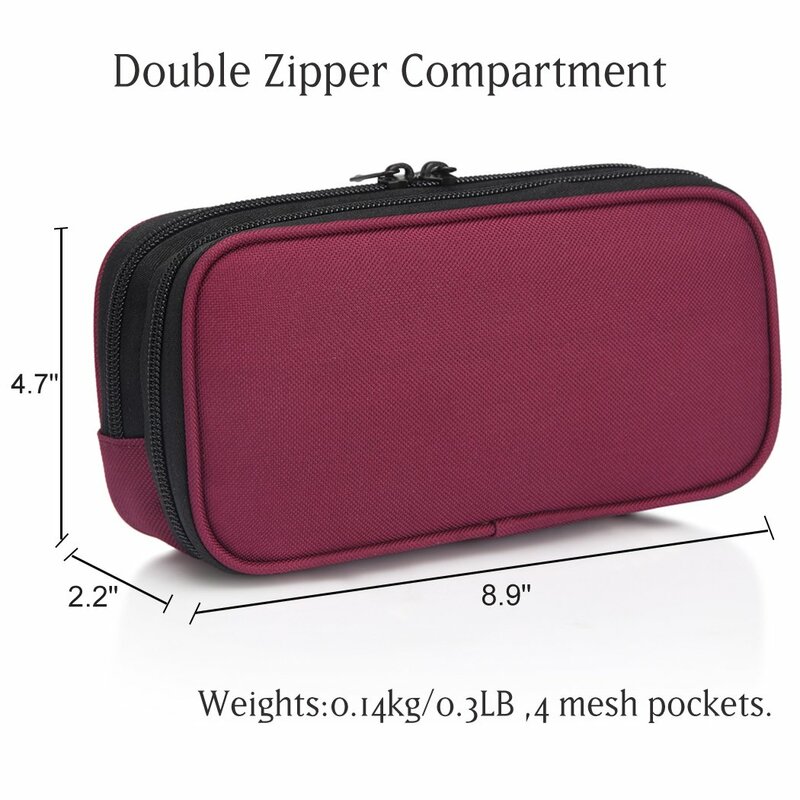 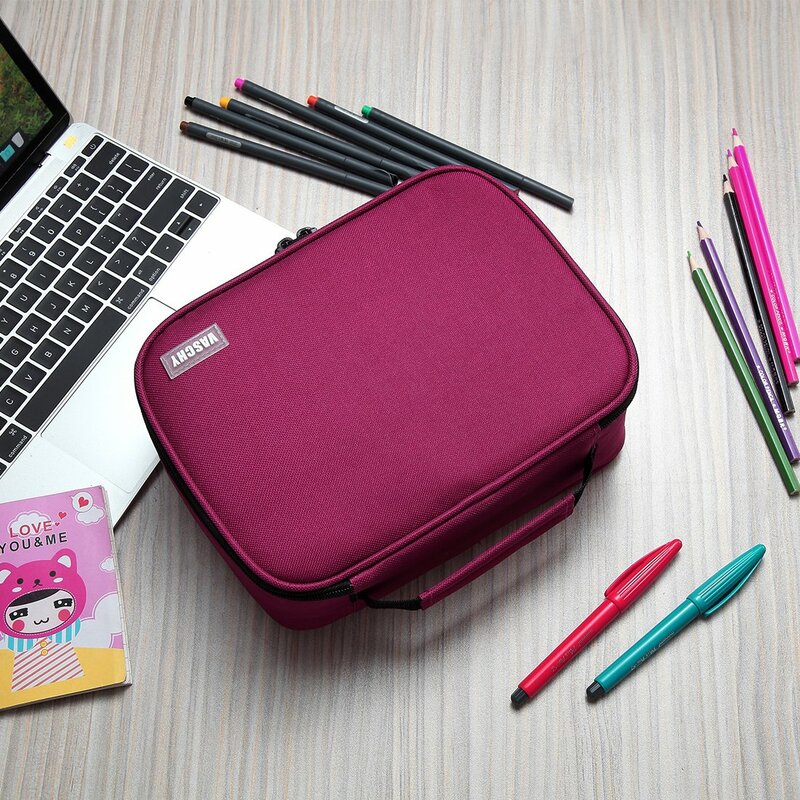 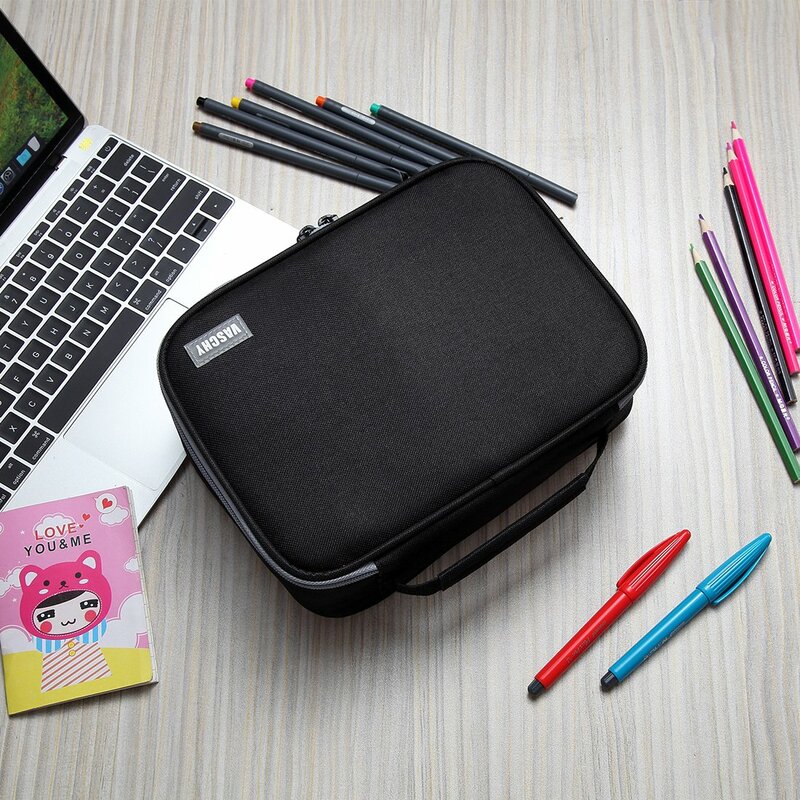 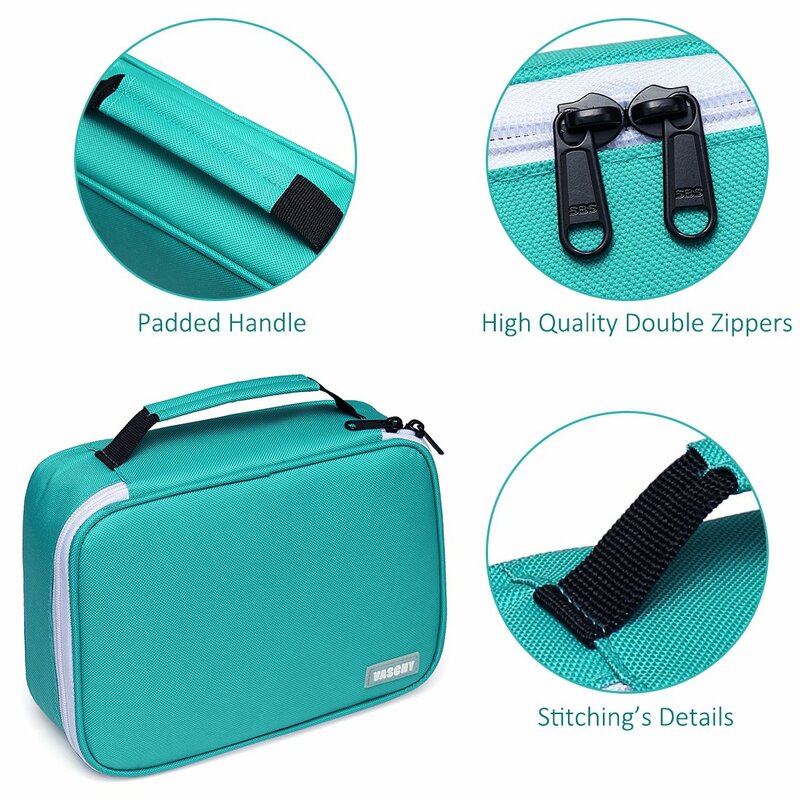 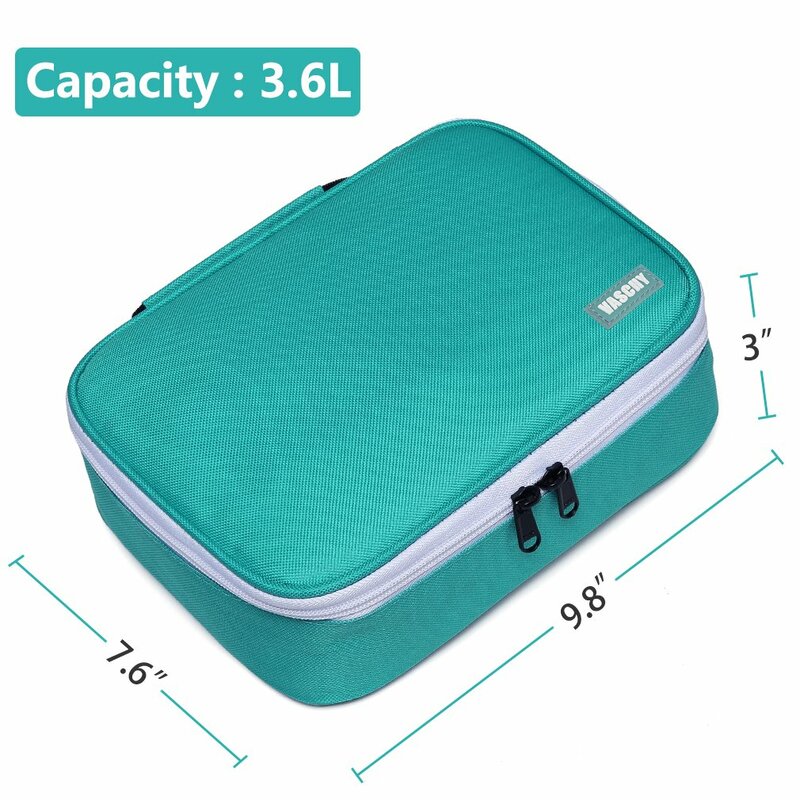 ✎WARRANTY:With 6-months warranty against any manufacturing defects at the time of purchase,the large capacity pencil case is perfect for both student and adults, especially for these people who usually carry lots of pens. 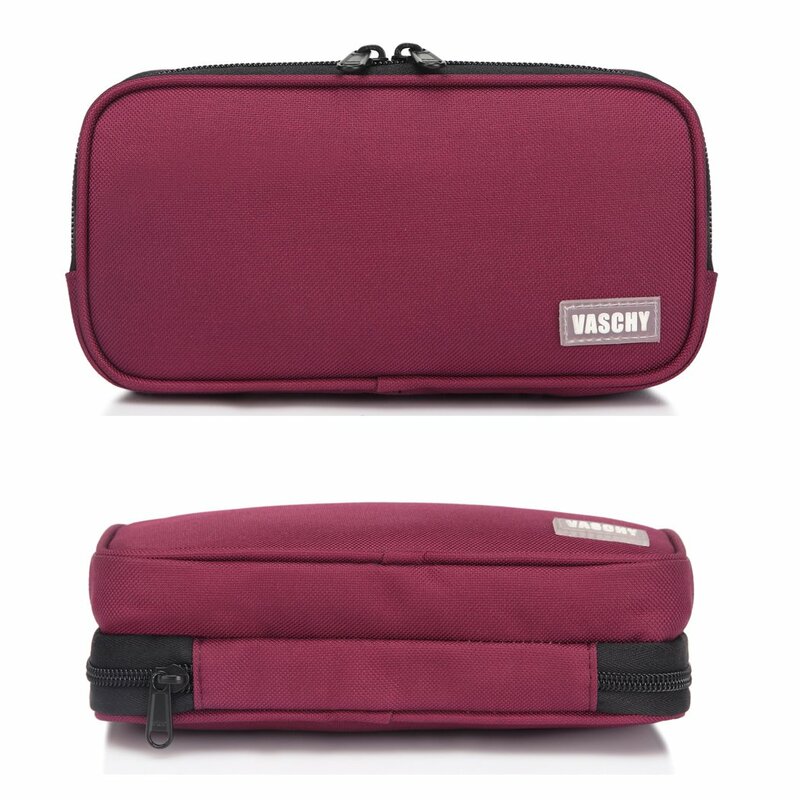 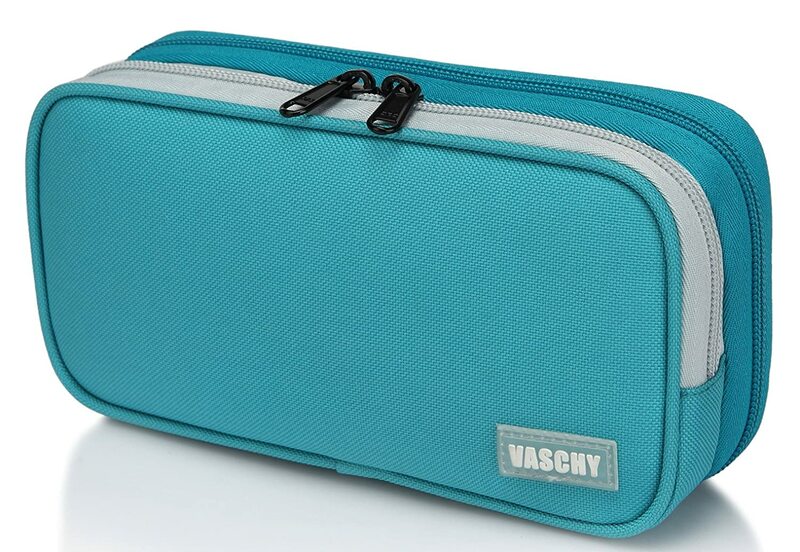 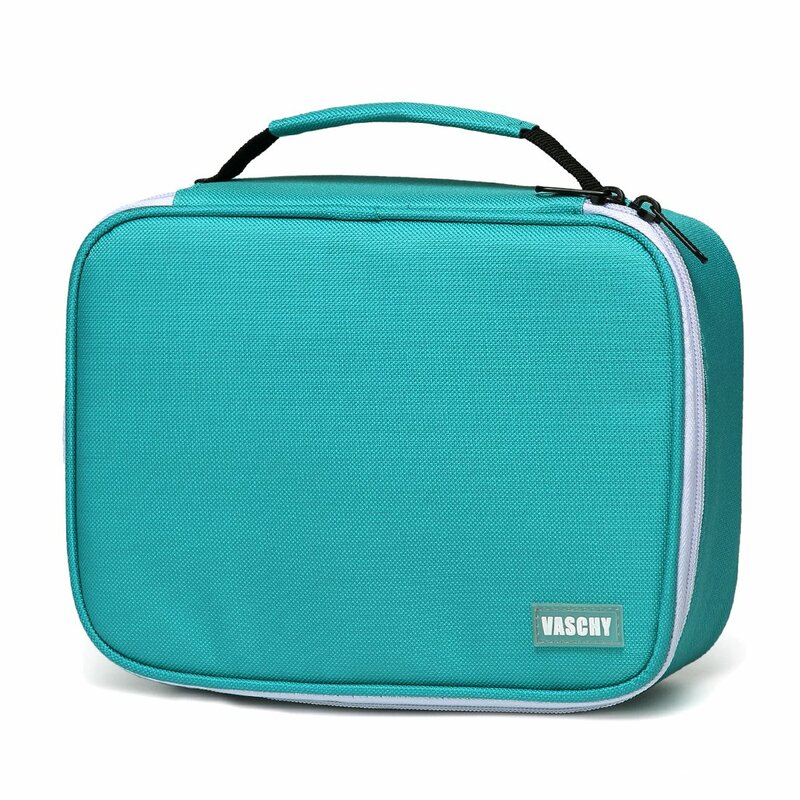 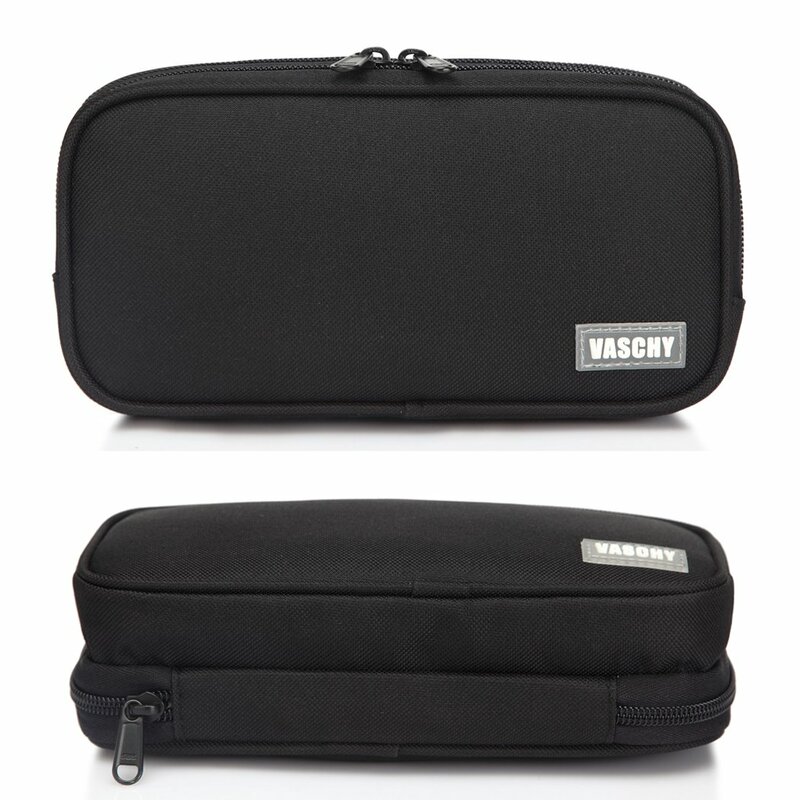 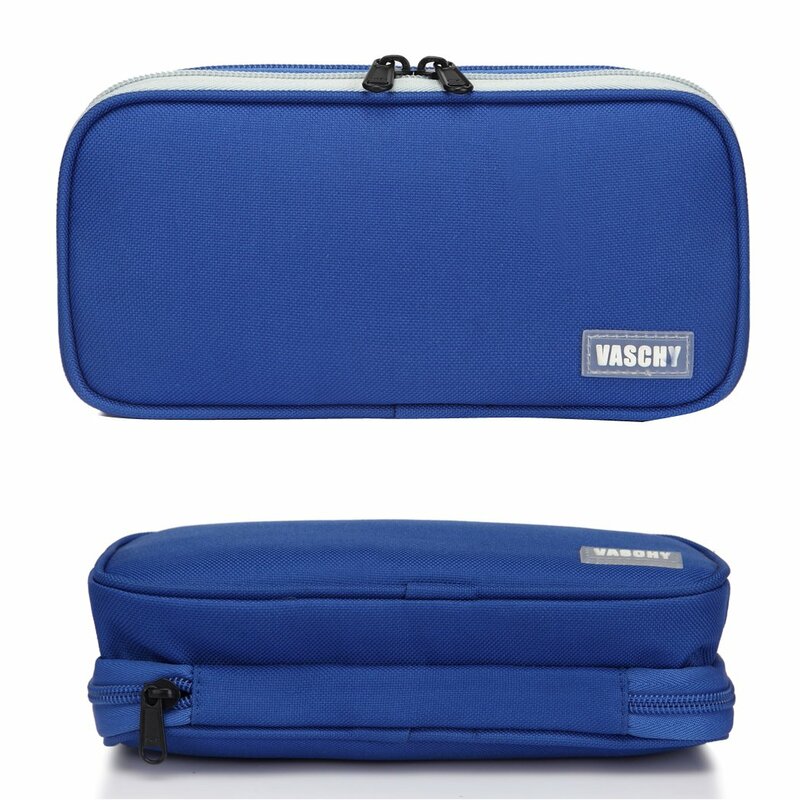 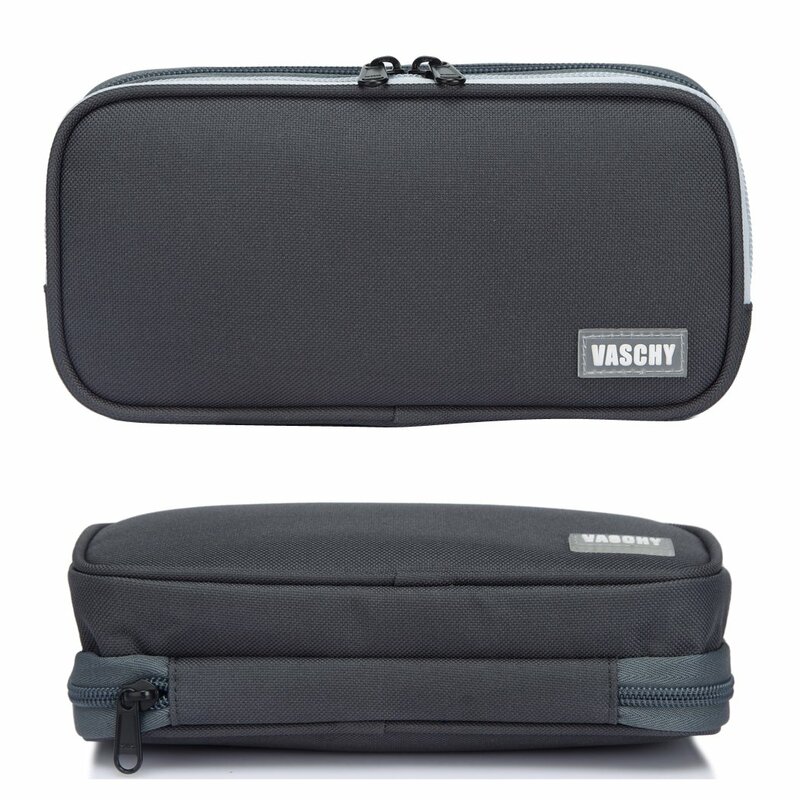 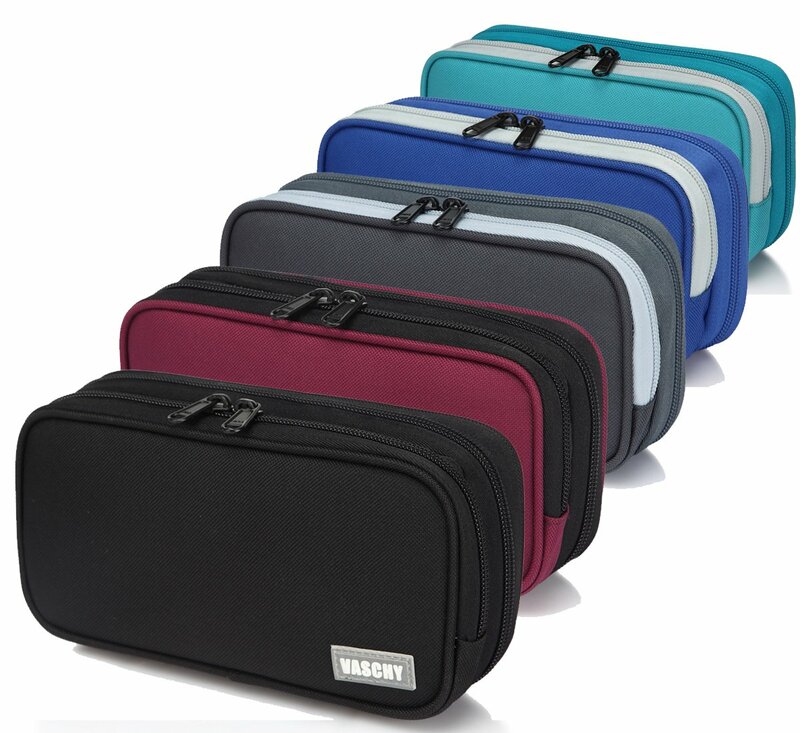 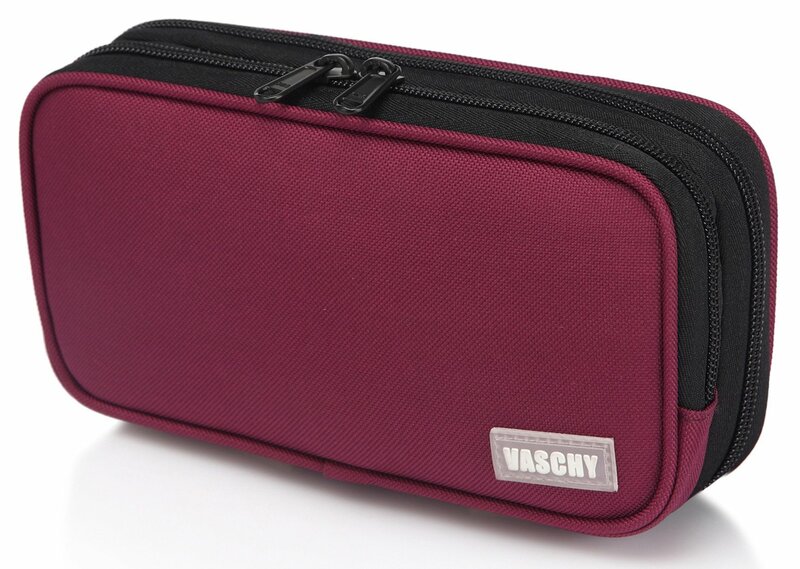 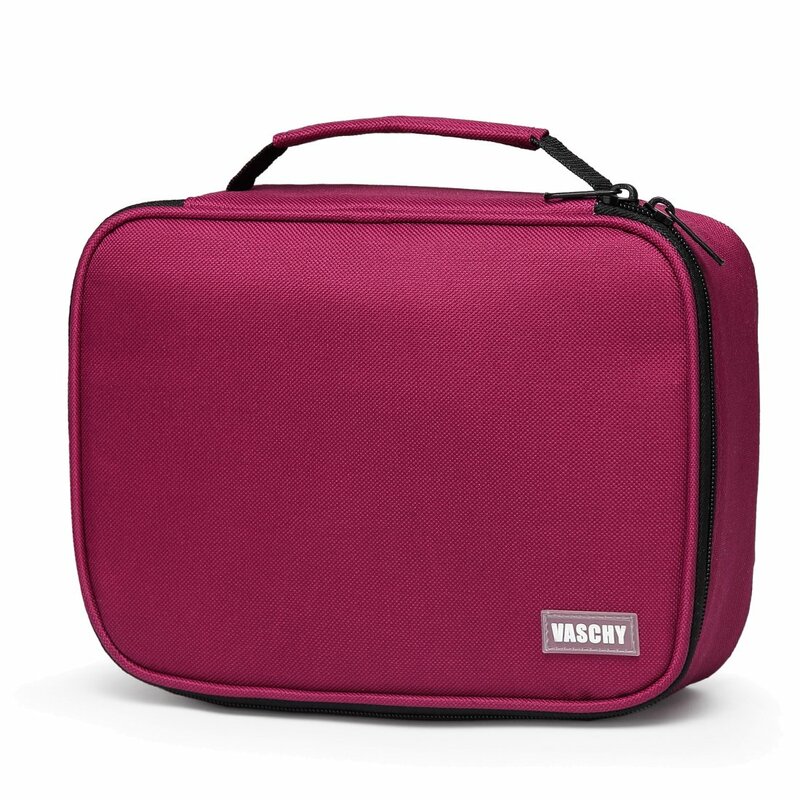 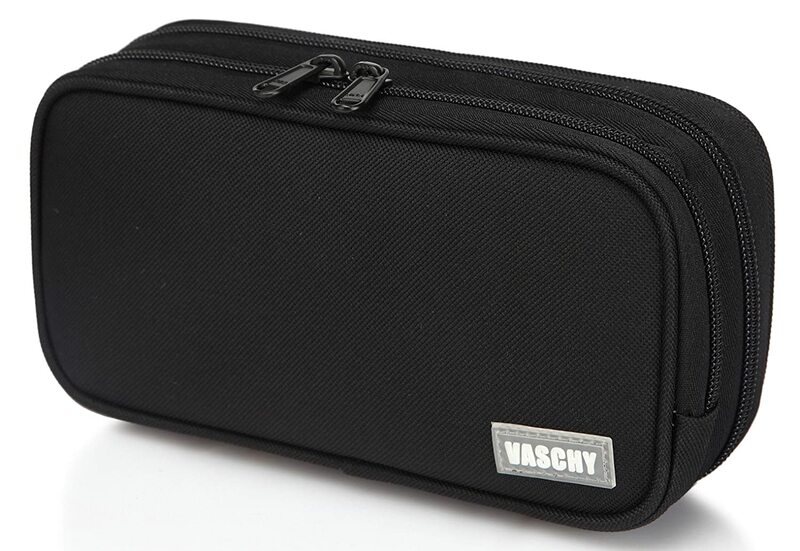 Vaschy pencil case shows an excellent capacity and neat appearance, it offers you the leisure time if you need a good organizer to collect pens in order. 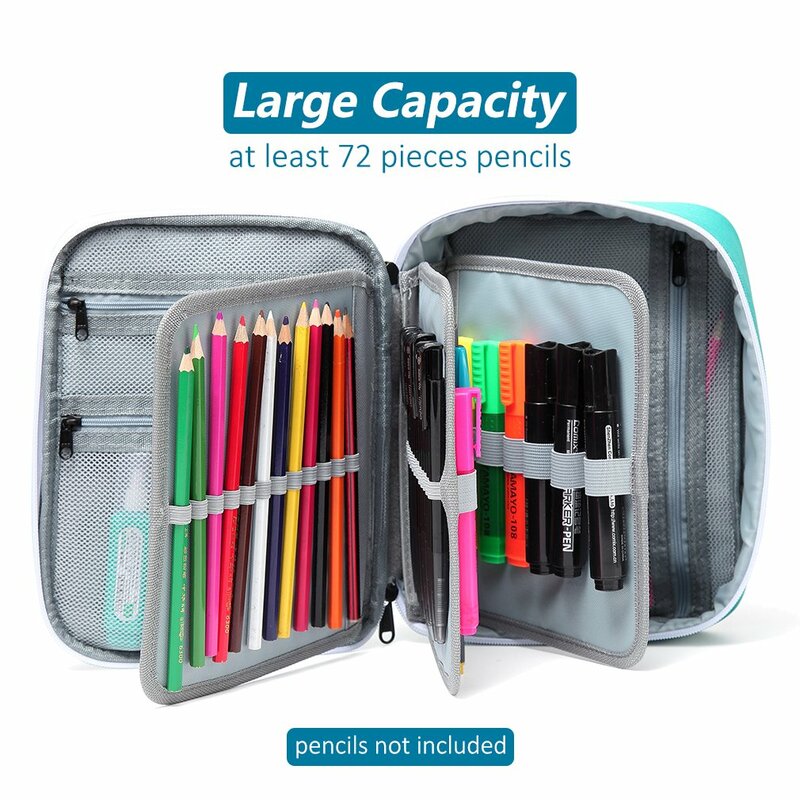 Very practical and stores a lot of stationery. 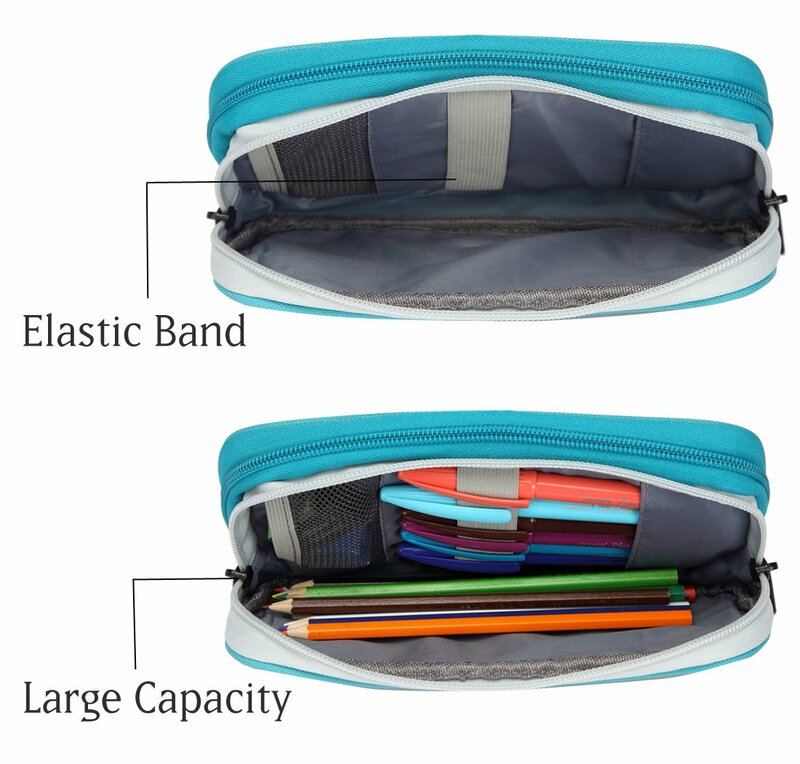 The overall pencil case design is robust and feels like it will last a while. 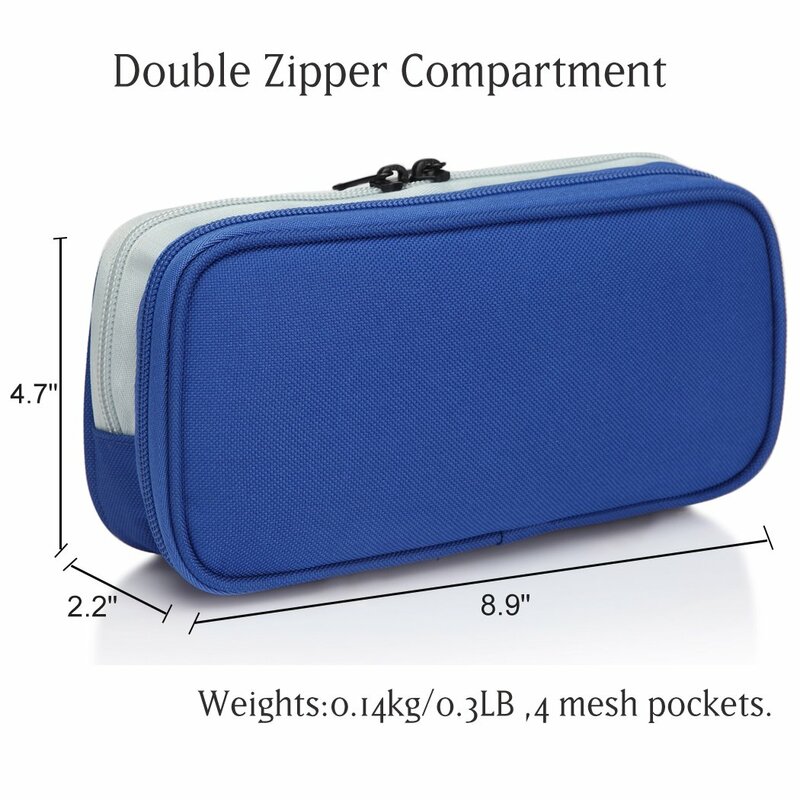 The zips feel a bit flimsy though, I would have appreciated a more robust fastening. 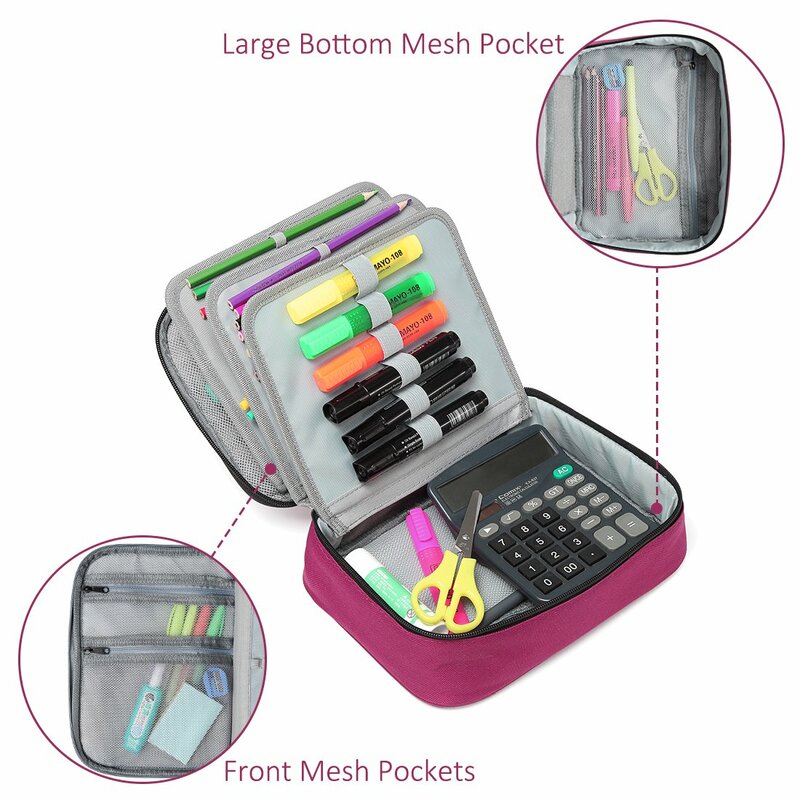 Still, I am very pleased with the product, I'm a lot more organised now! 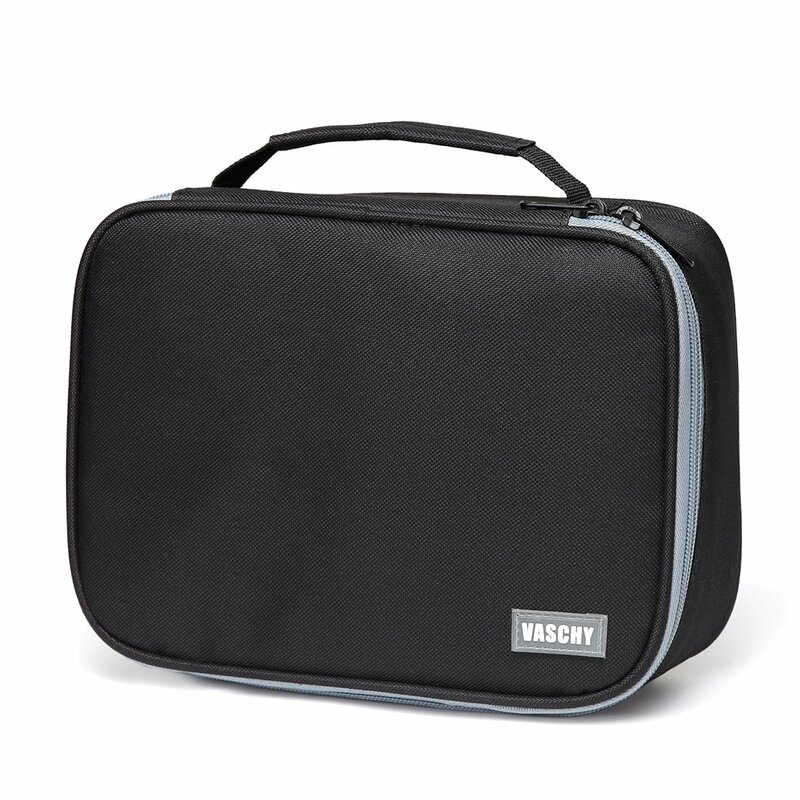 I bought this product to show that it’s possible to “Hot Desk” and carry everything you need to work in an office around in a bag. 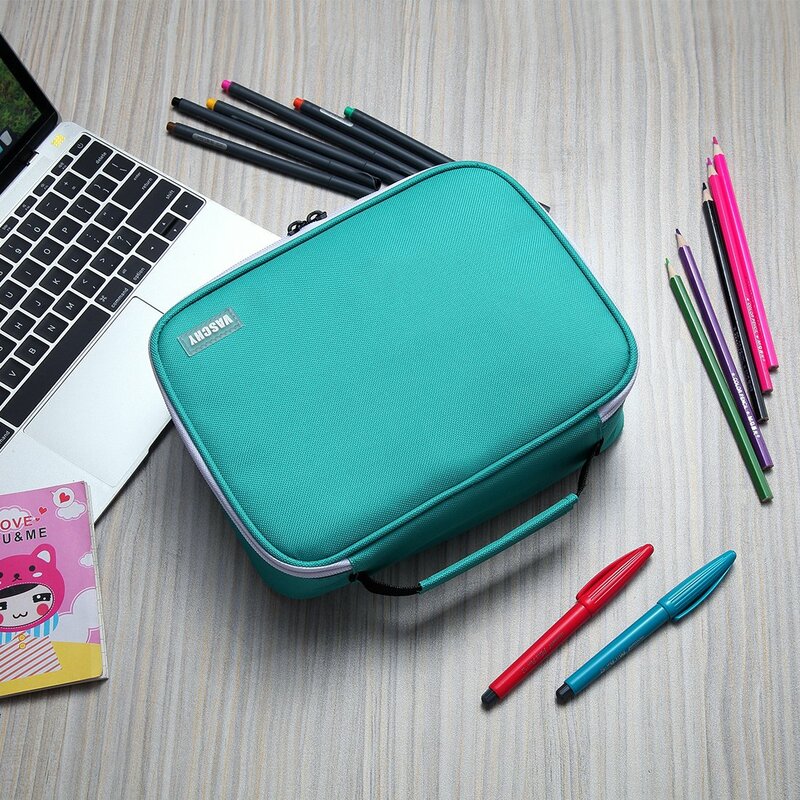 In mine I have a small plastic potted plant from Ikea, two small photo frames with pictures of my family, a light up cloud from Poundland on which I can write motivational messages, a notebook and several pens and pencils. 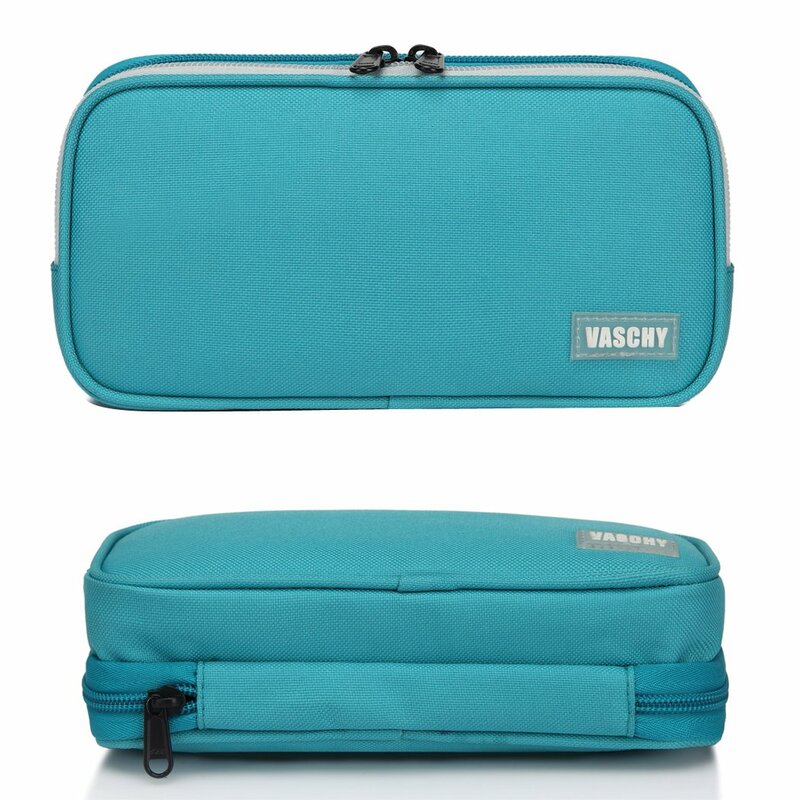 It closes lovely and fits into the rucksack I carry with my laptop brilliantly. 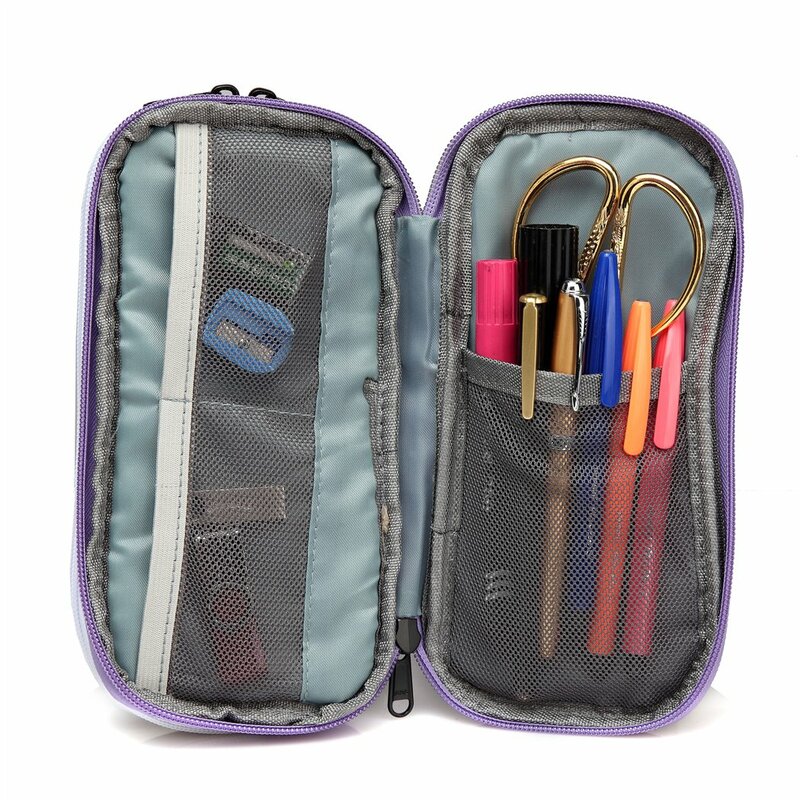 It’s ace, good quality and I love the fact that you can remove some of the pen holders as they are made of Velcro. 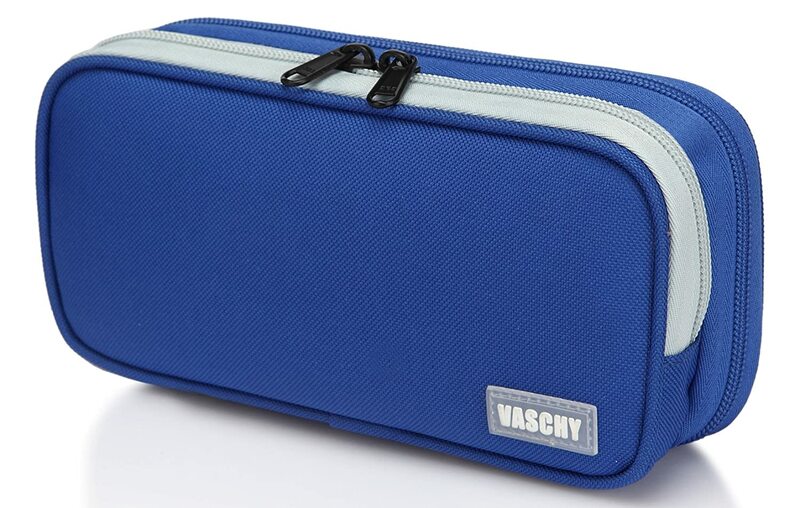 Staff have asked me already where I’ve got it from as they want one too. 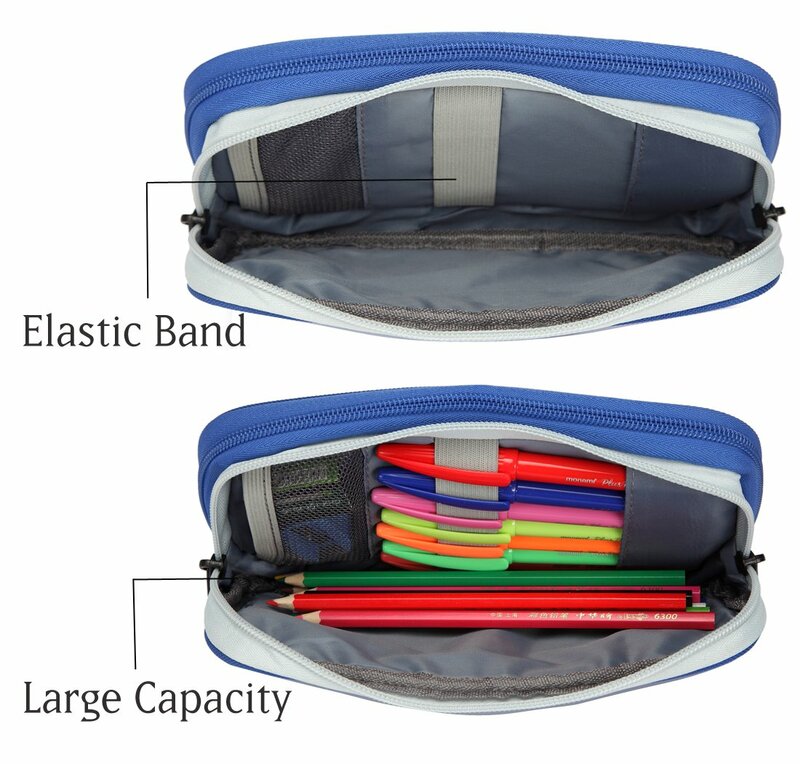 This seems well made but the design means that it doesn't hold an awful lot. 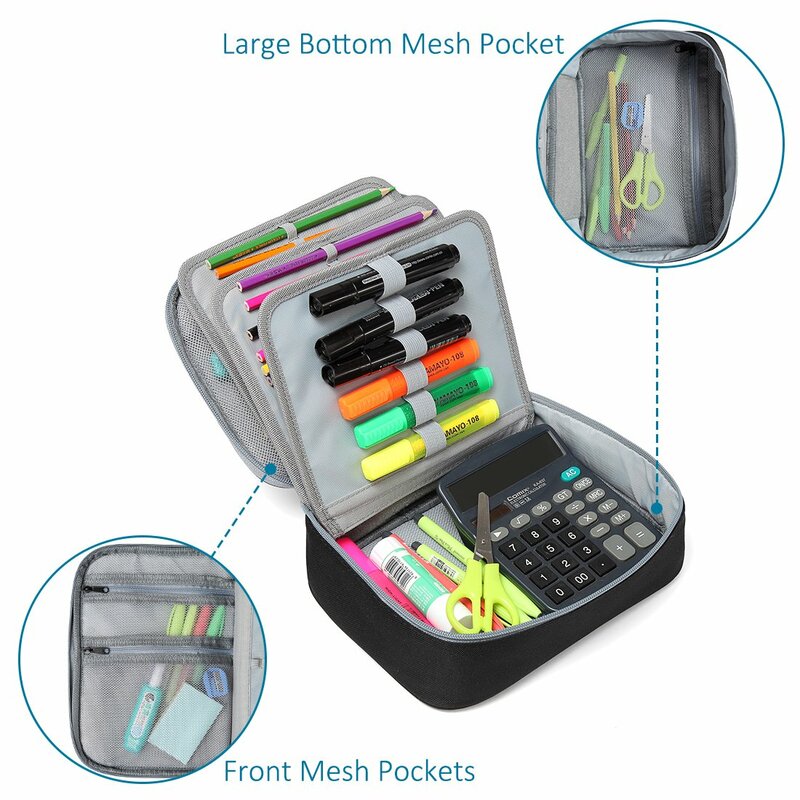 We've managed to put in a school calculator, 5 pens in a pocket, a few more loose, rubber and sharpener. 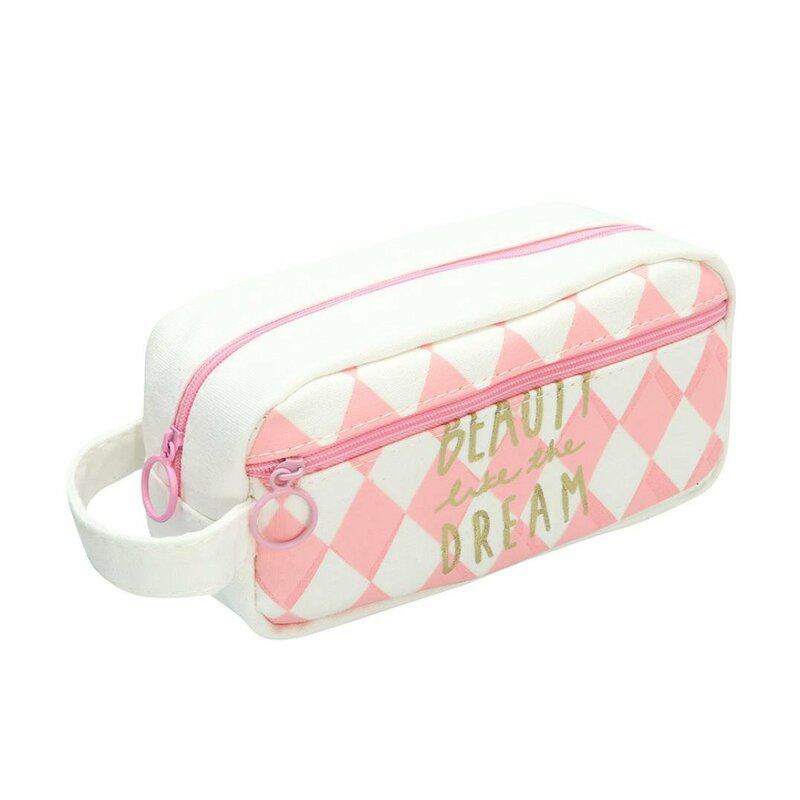 Really good but I think better suited to primary school and not high school which I bought it foŕ. 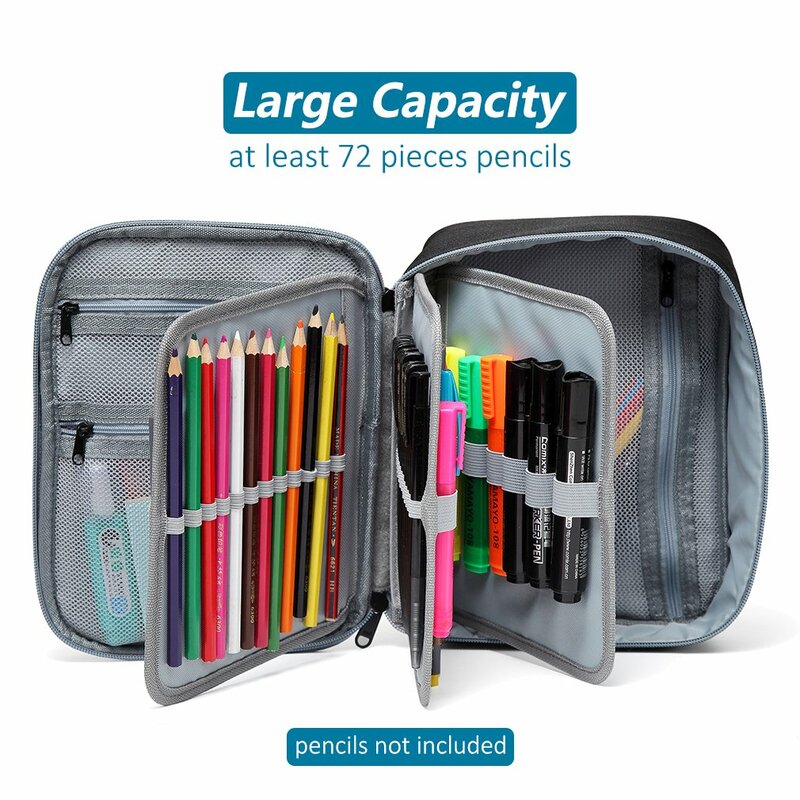 Most definitely not a “large” pencil case as described as one of the key selling points!! 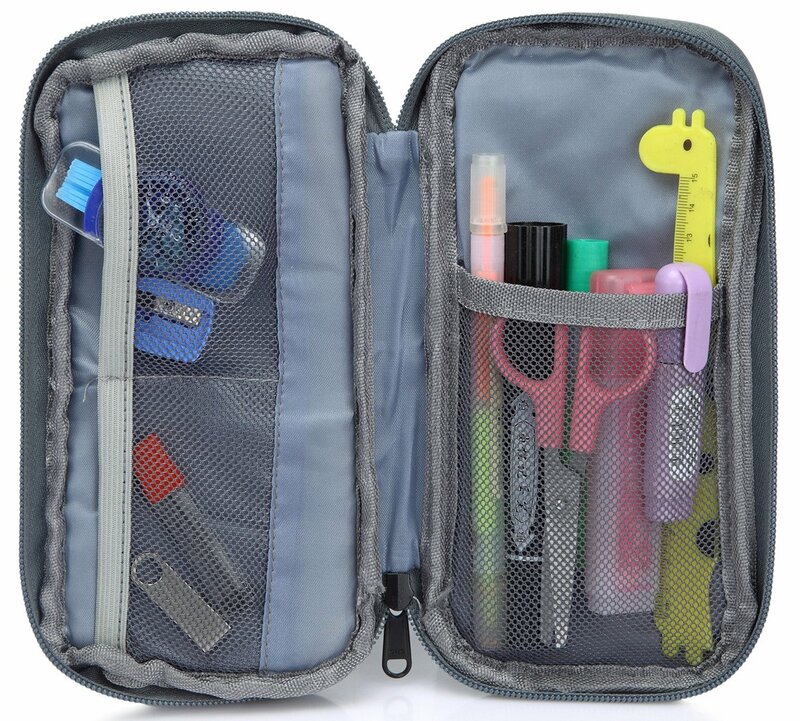 It also doesn’t store items well because of the design on both sides of the pencil case. 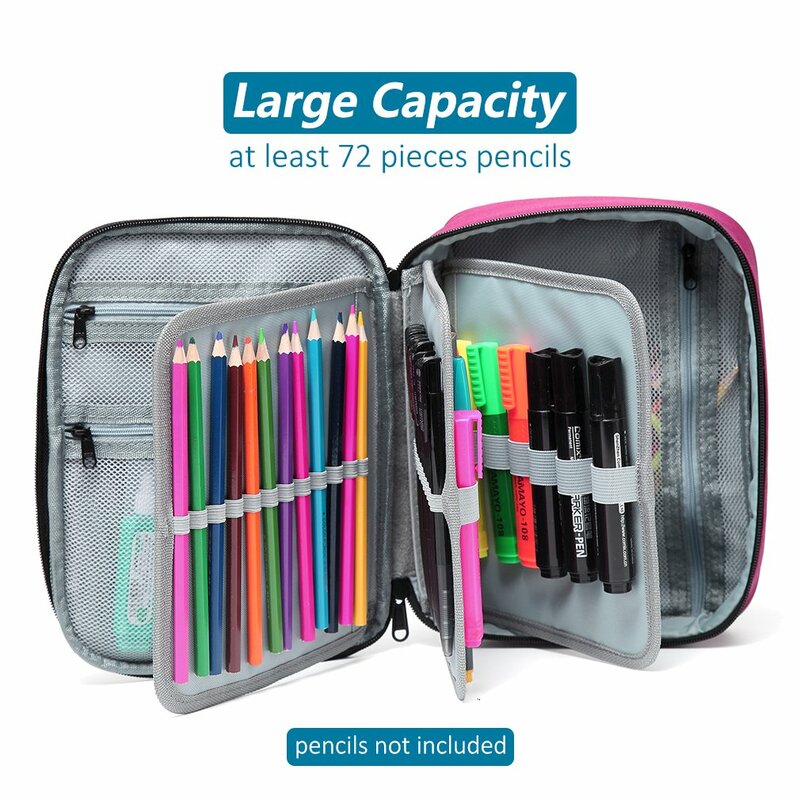 VERY over priced!! 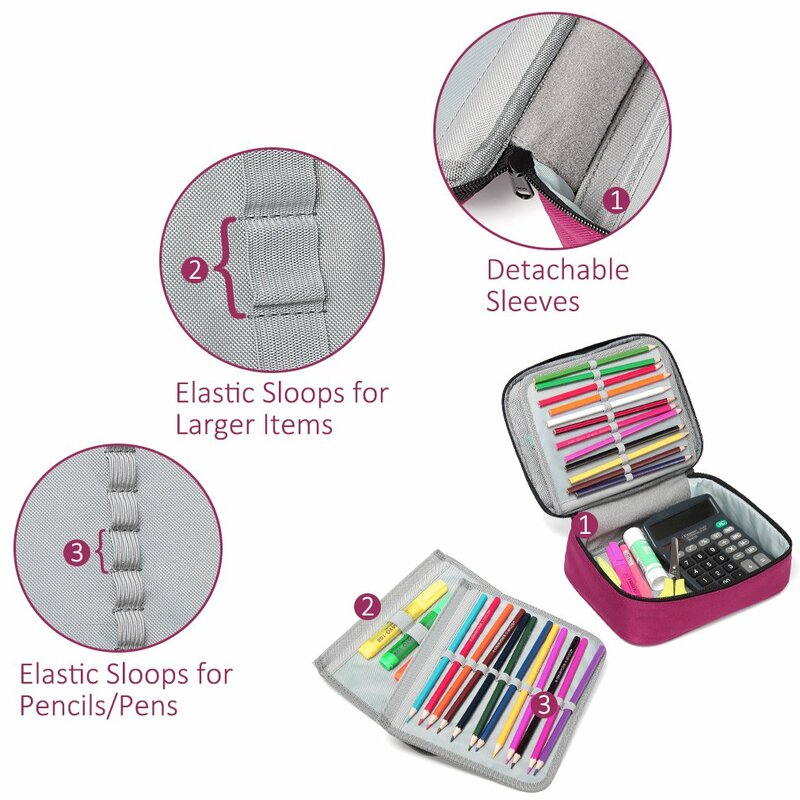 I could’ve bought something cheaper and better from the likes of Asda!! 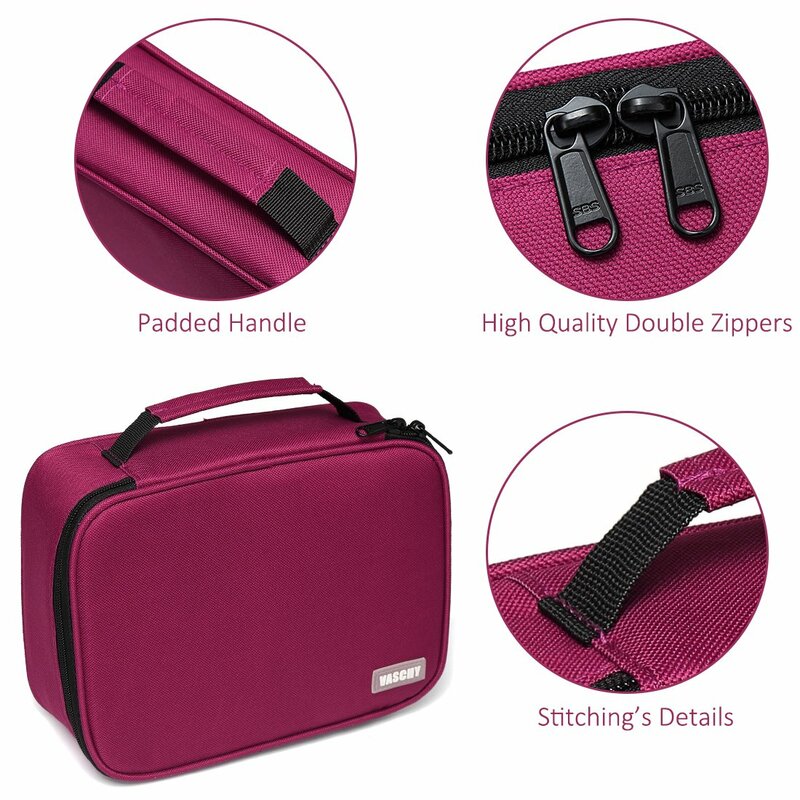 This product is NOT as it was described!!!! 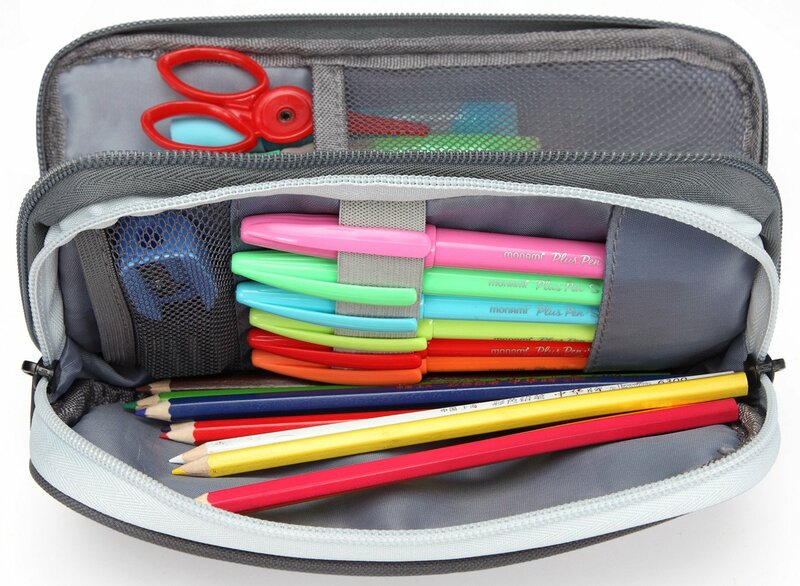 Very nice for all my pens and colour pencils etc. 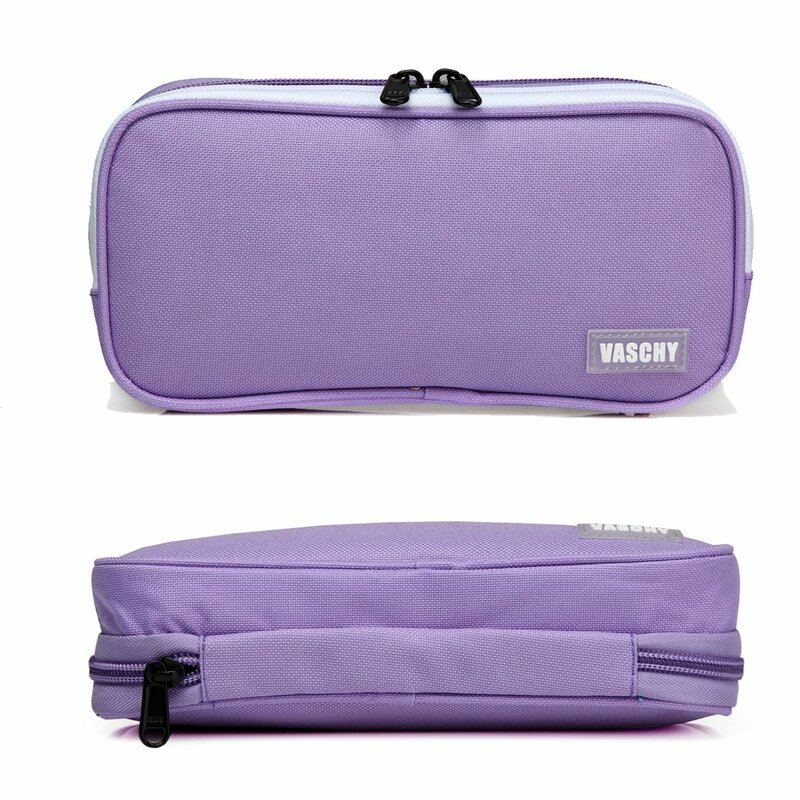 Lovely colour. 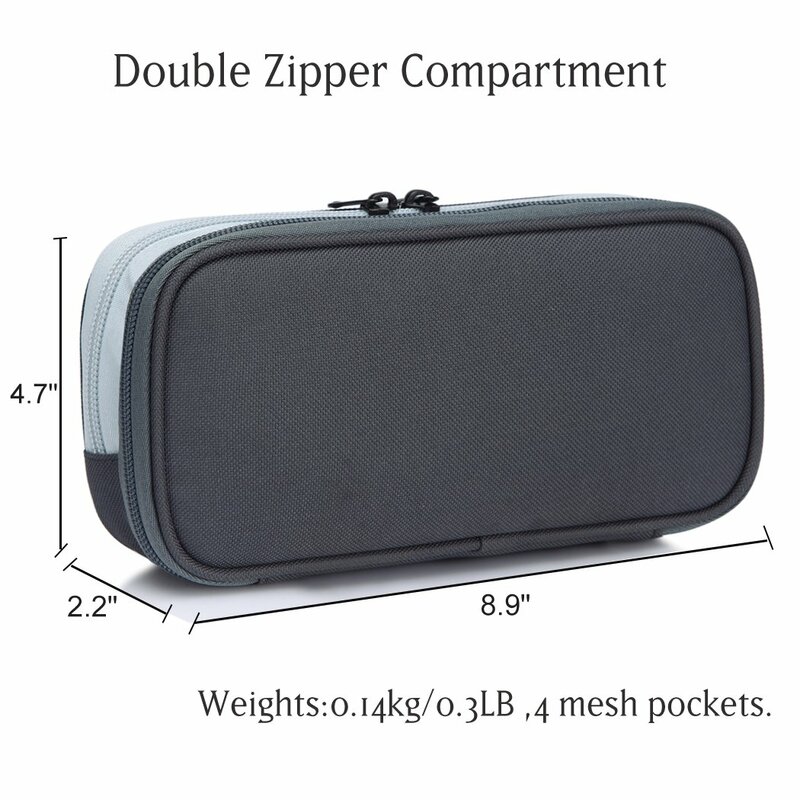 Arrived promptly. 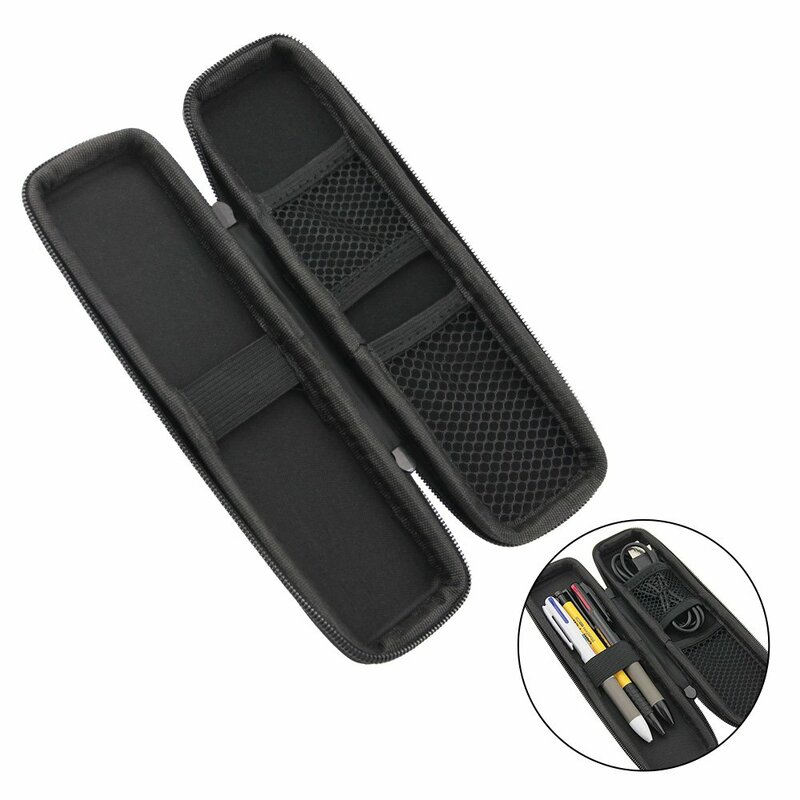 Great case I got it for fishing floats, but is a very well made item. 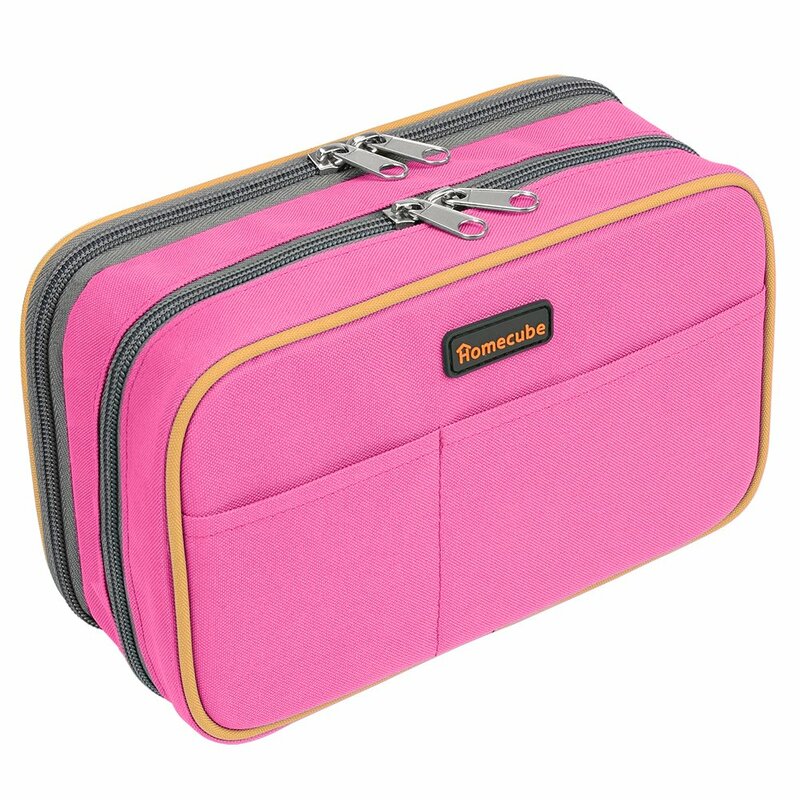 need another for the other tackle bits.